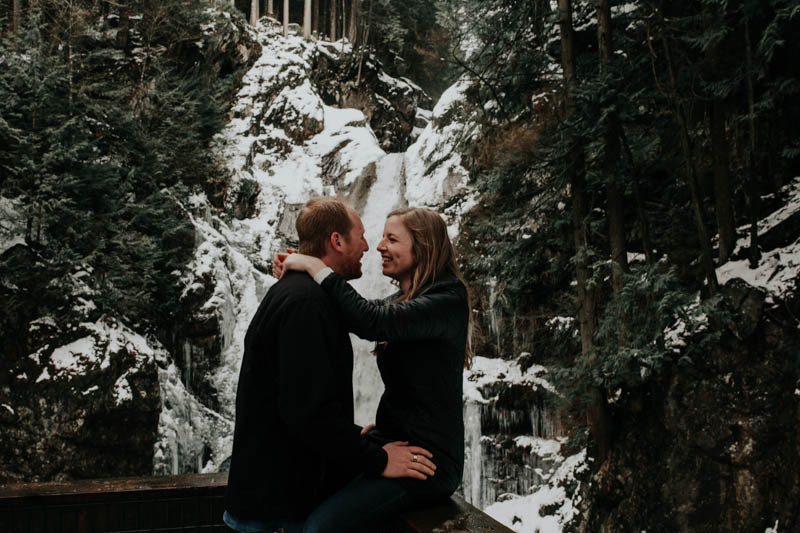 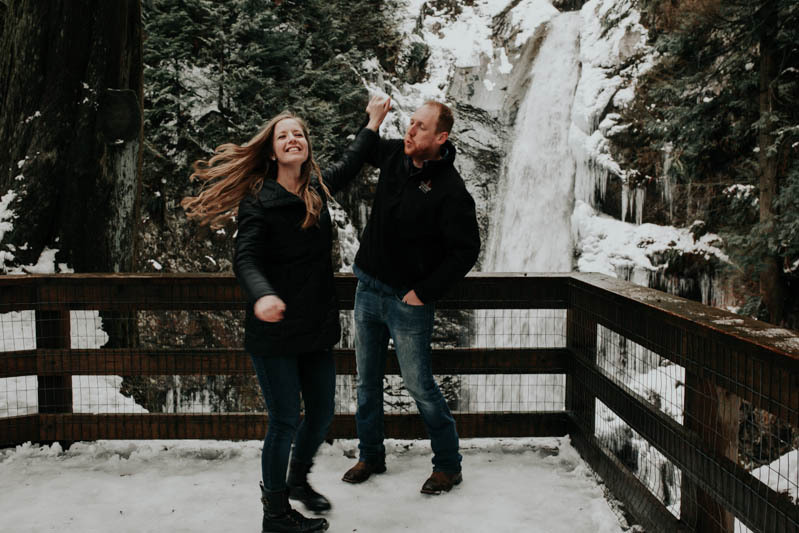 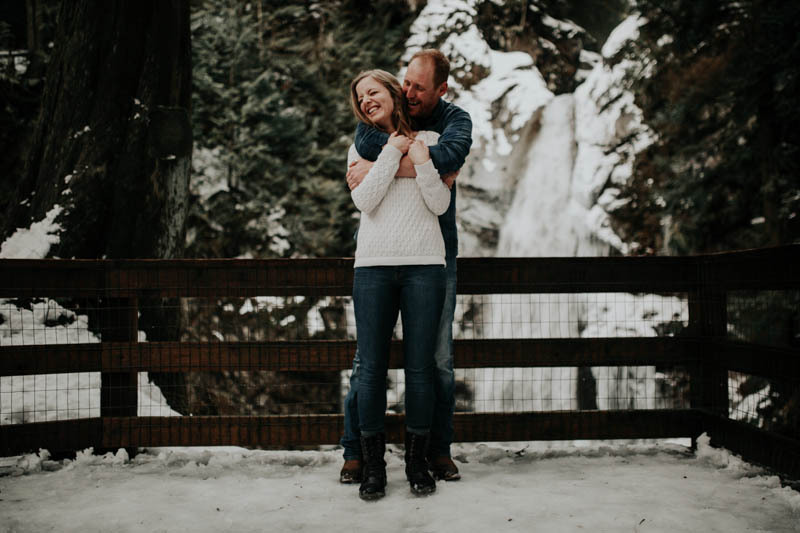 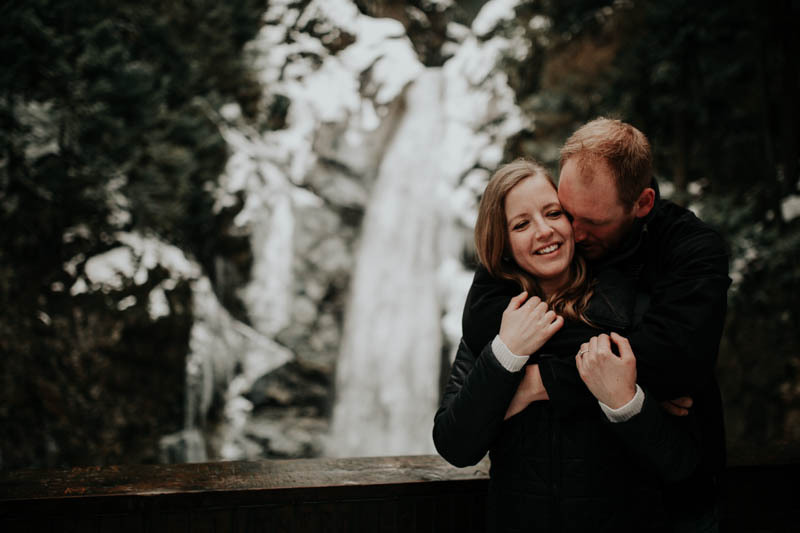 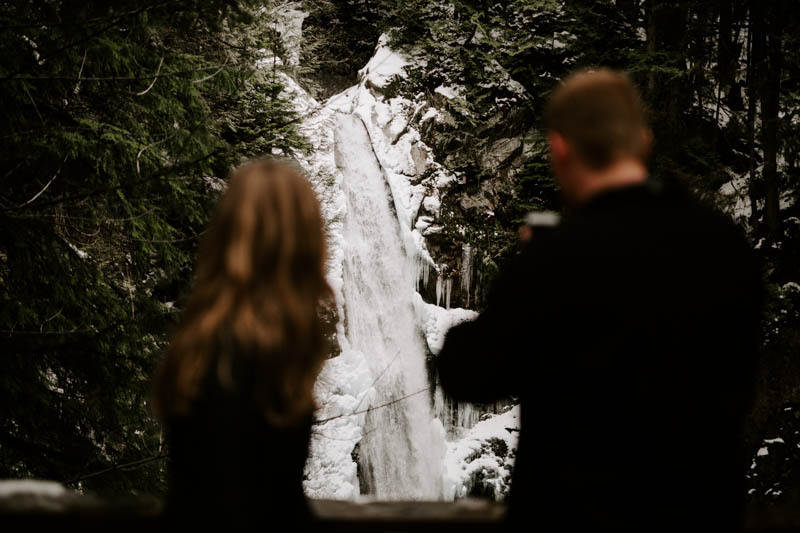 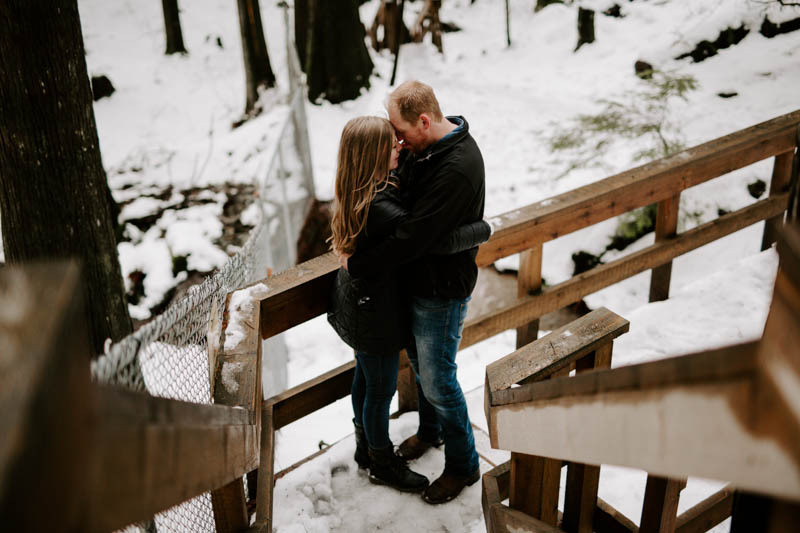 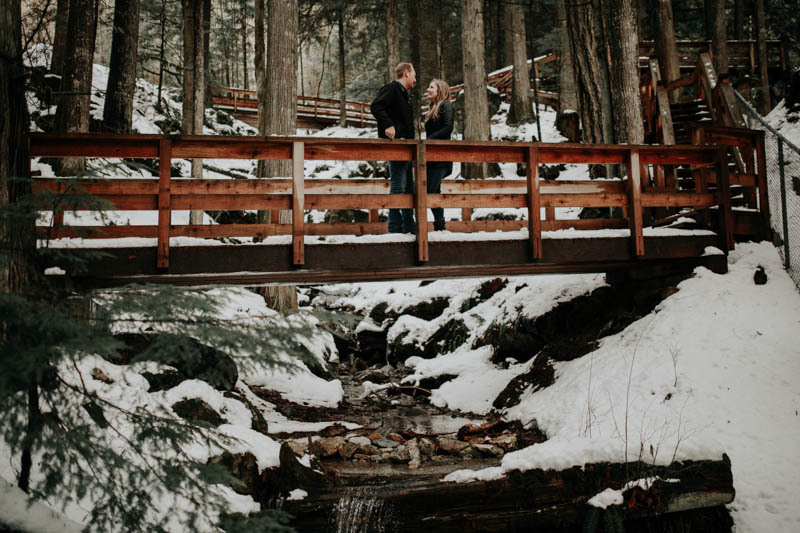 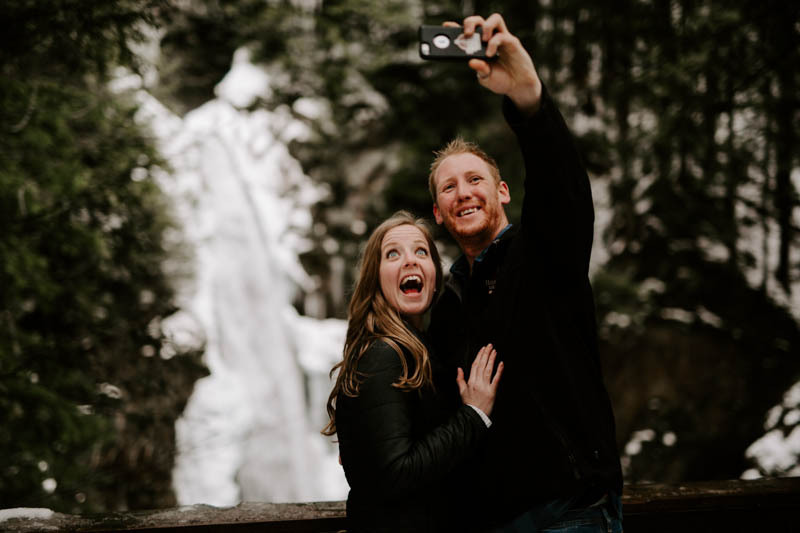 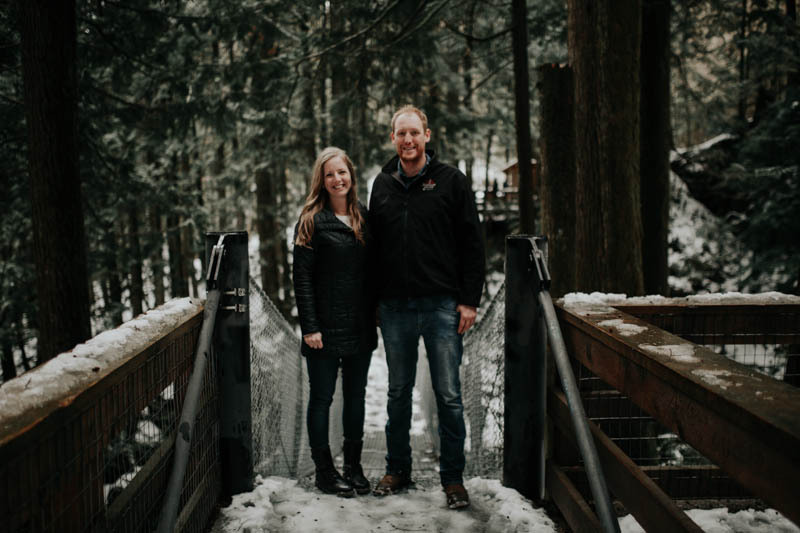 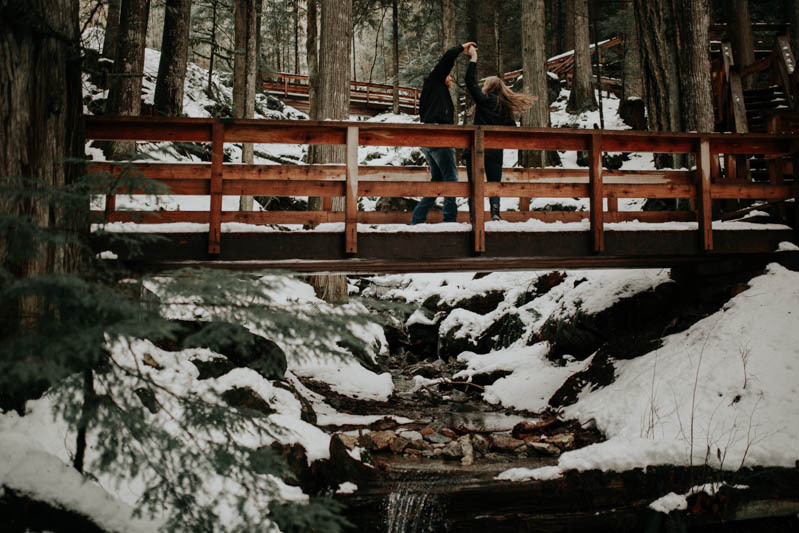 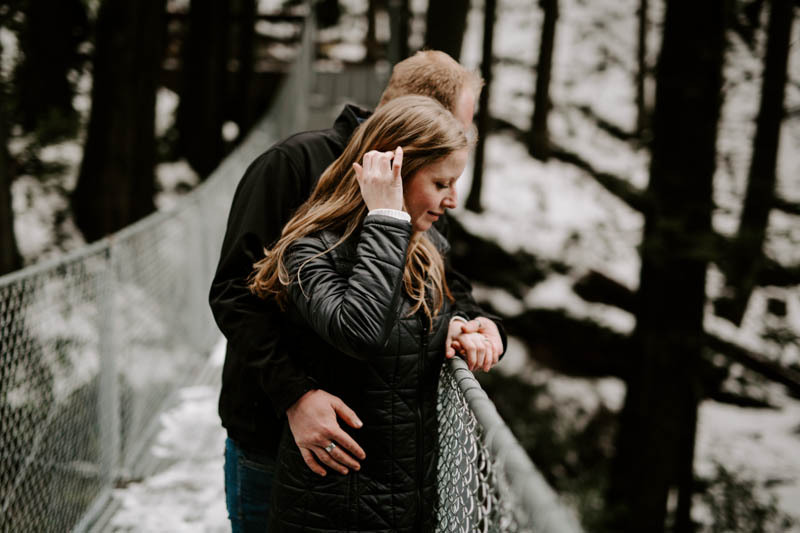 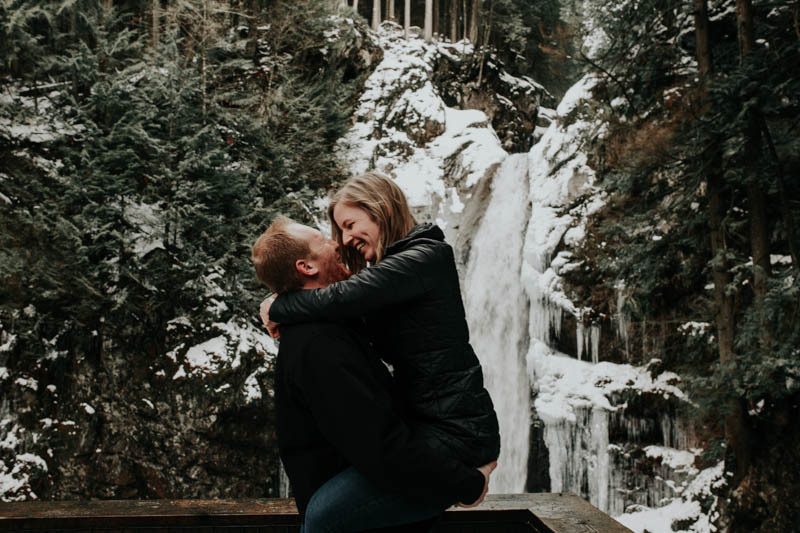 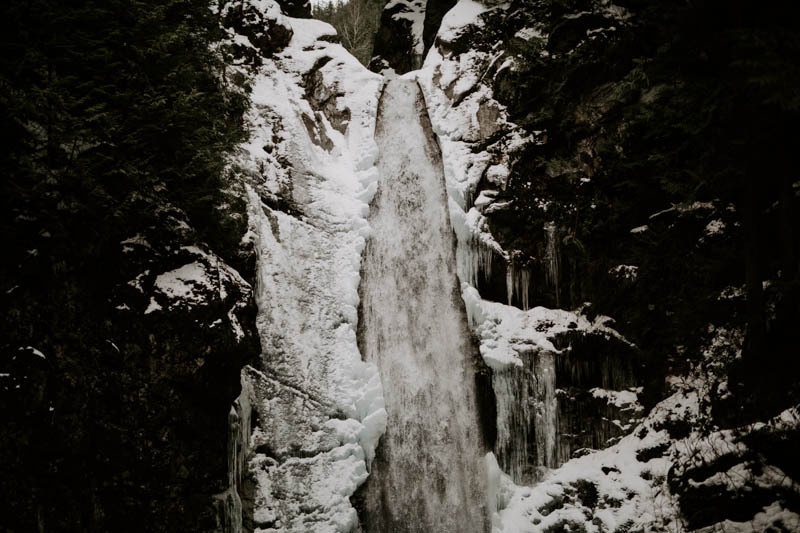 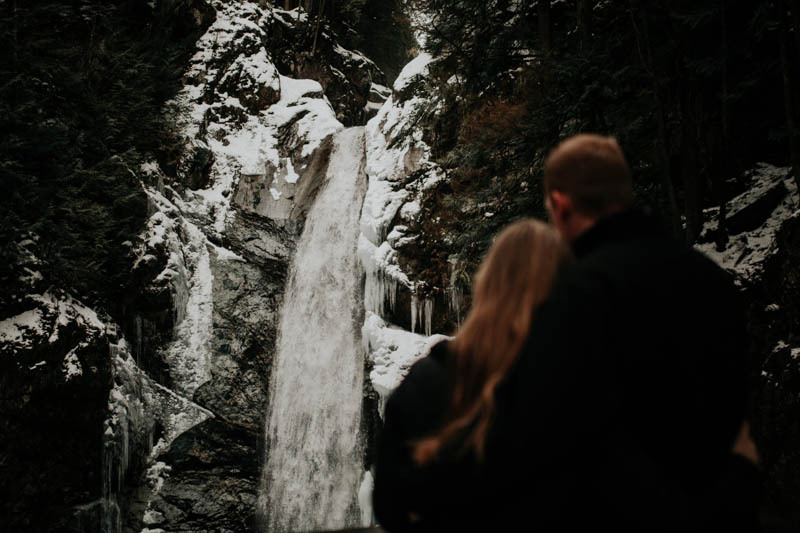 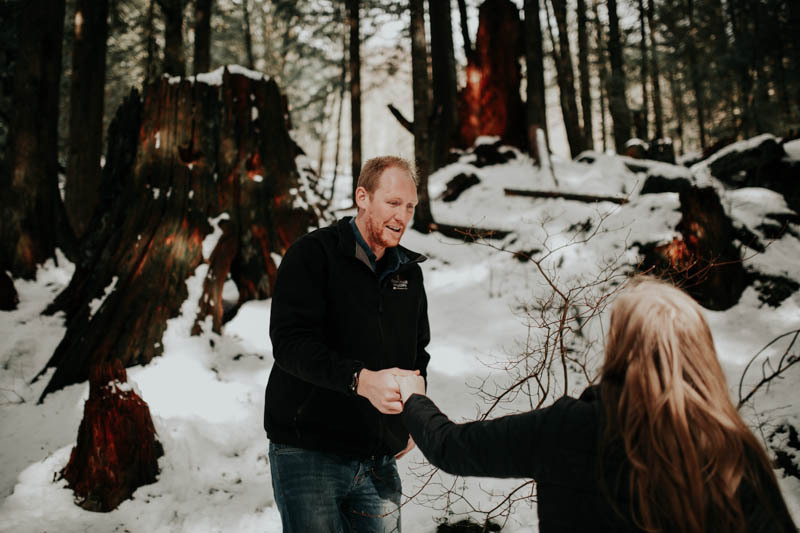 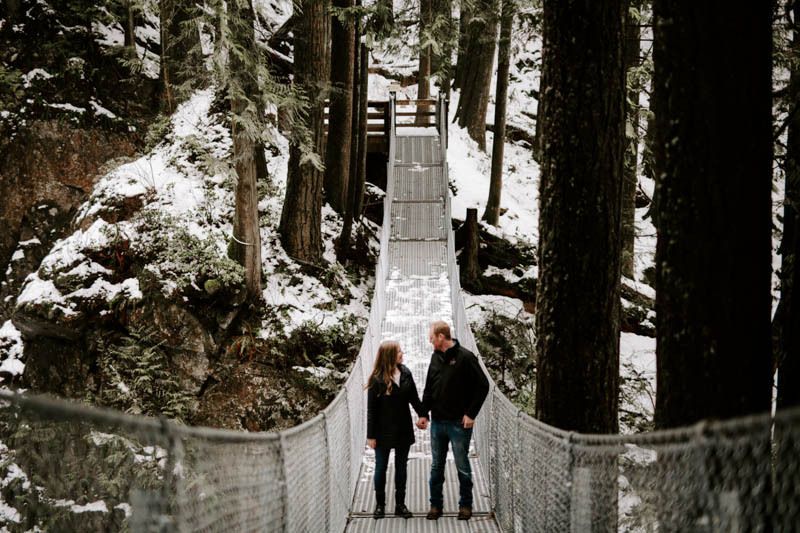 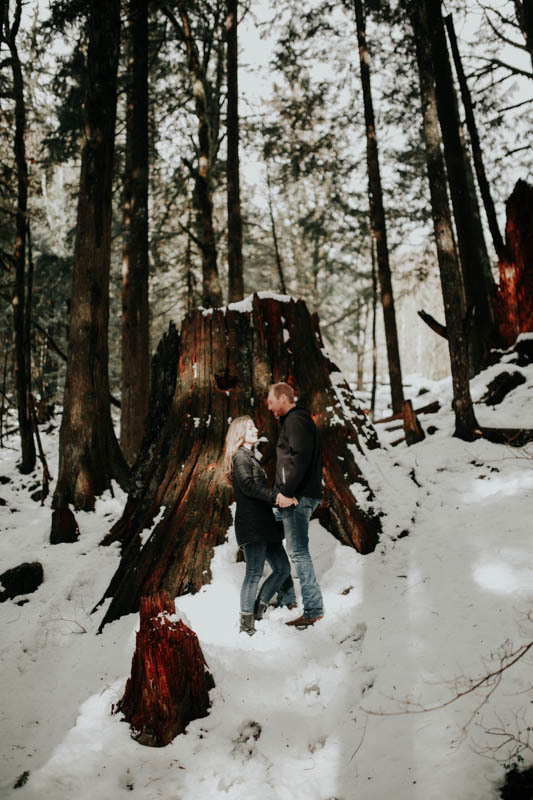 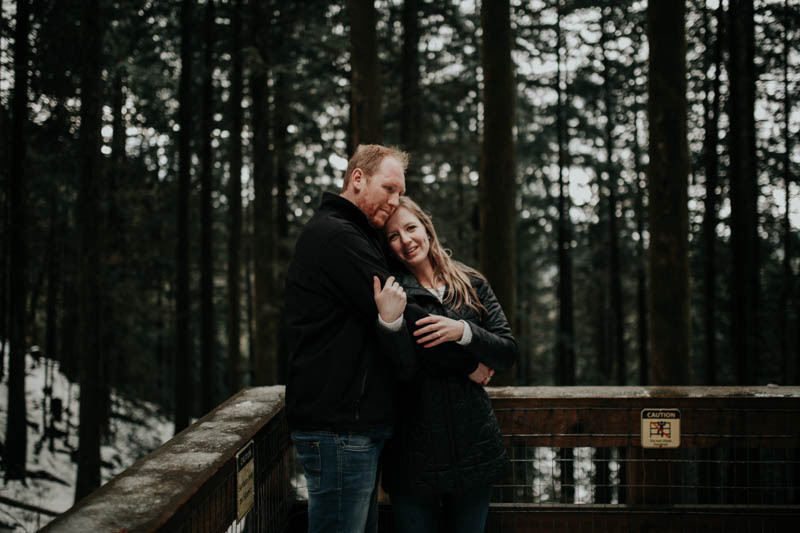 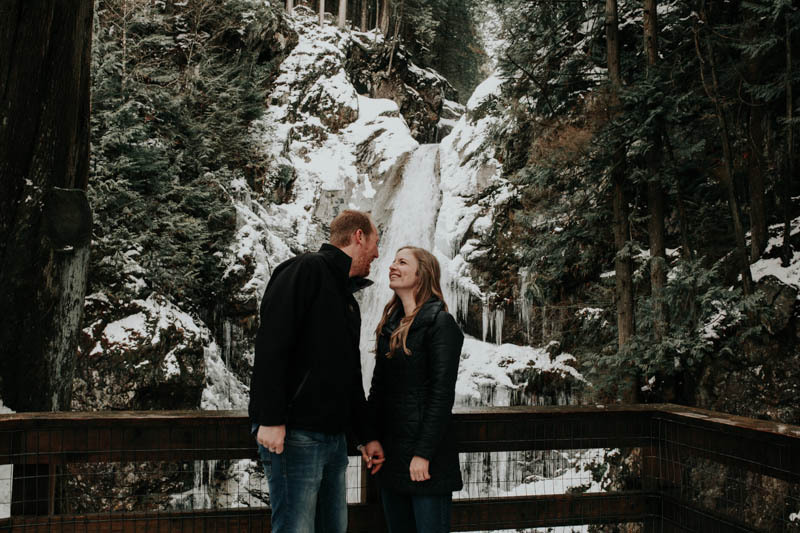 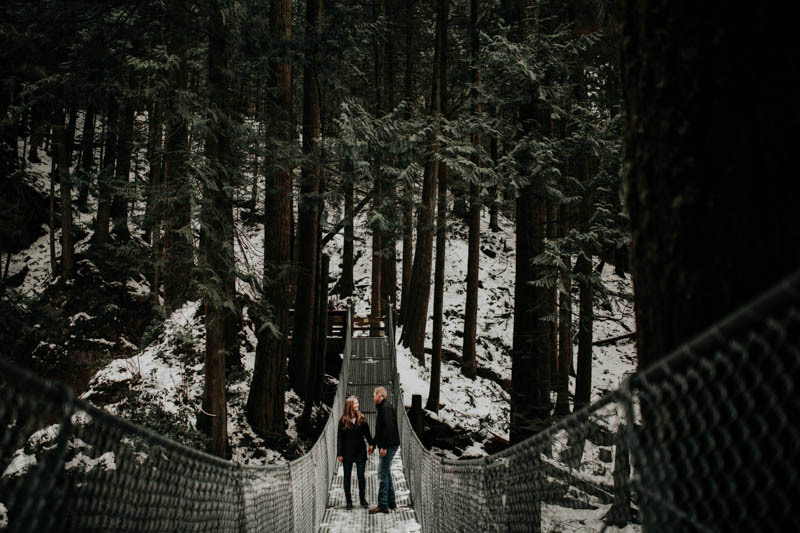 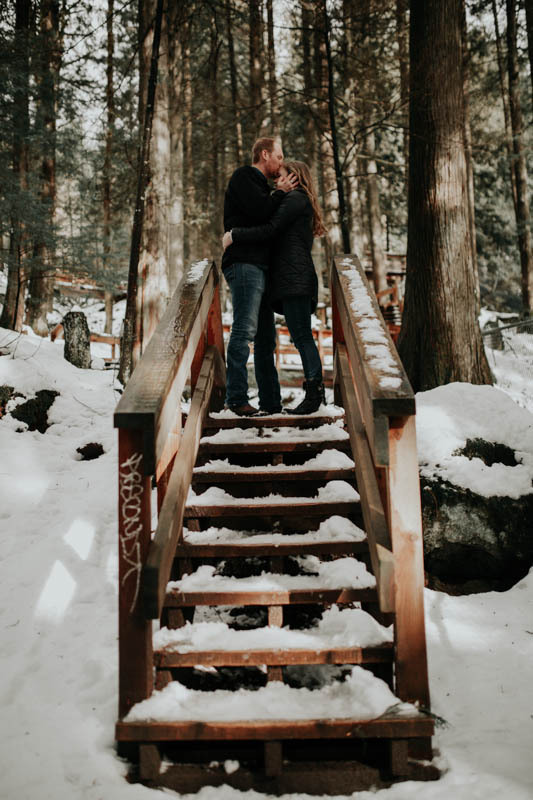 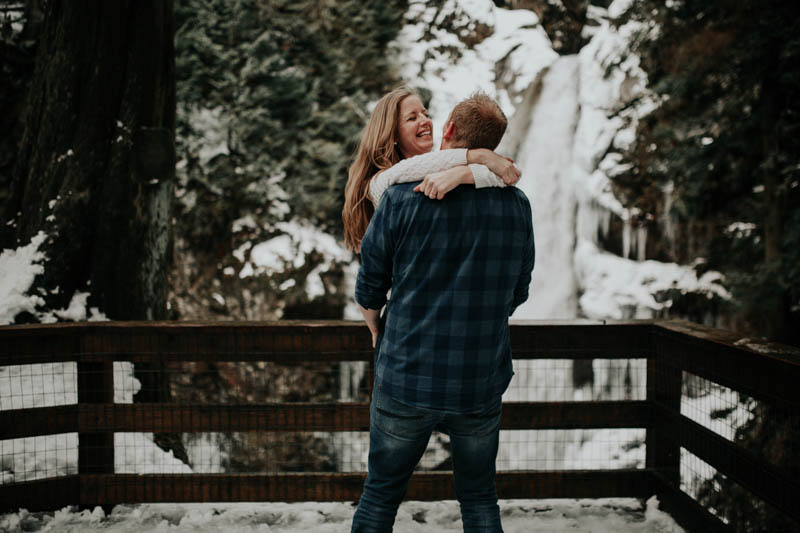 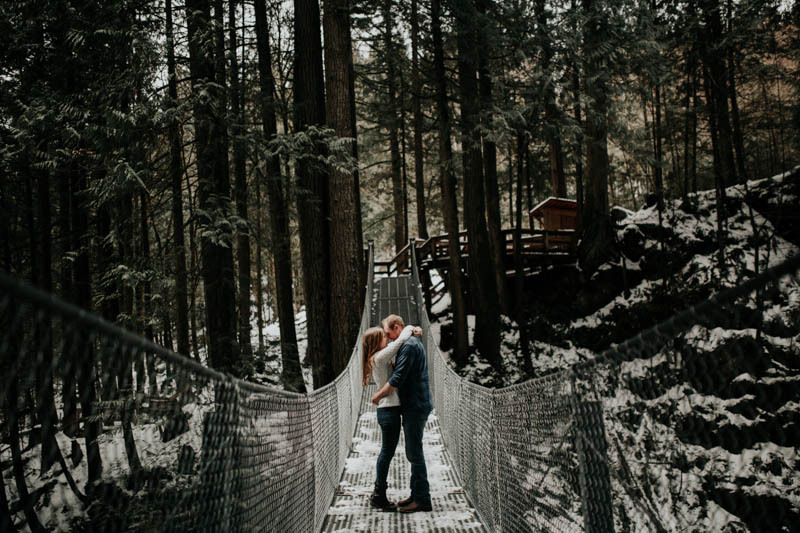 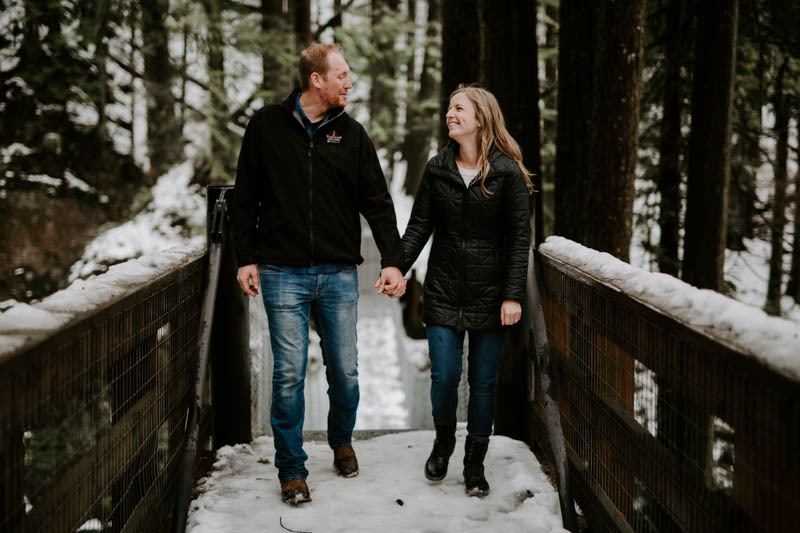 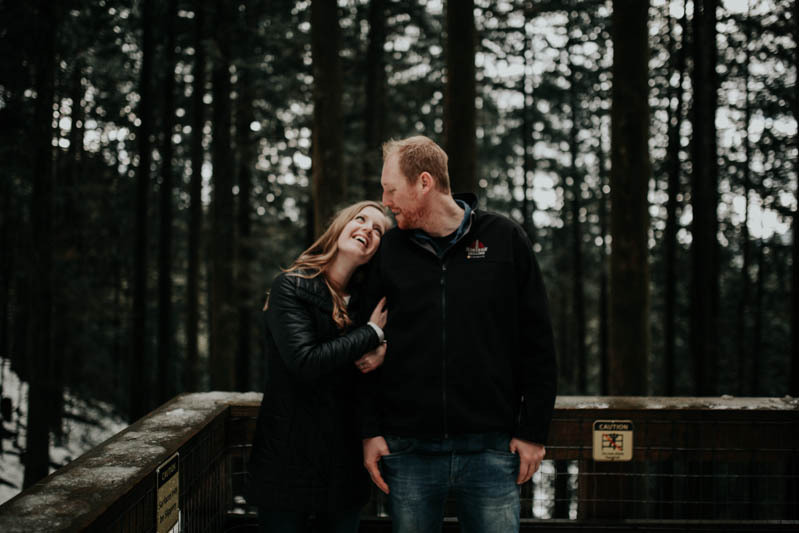 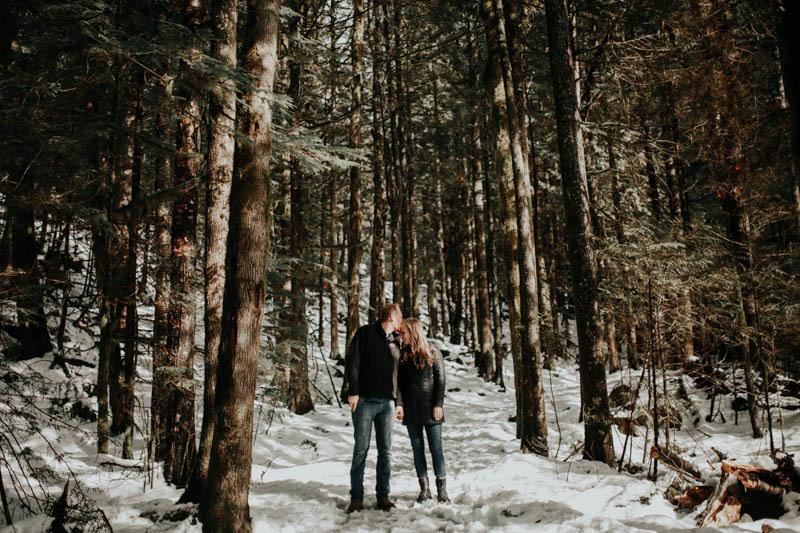 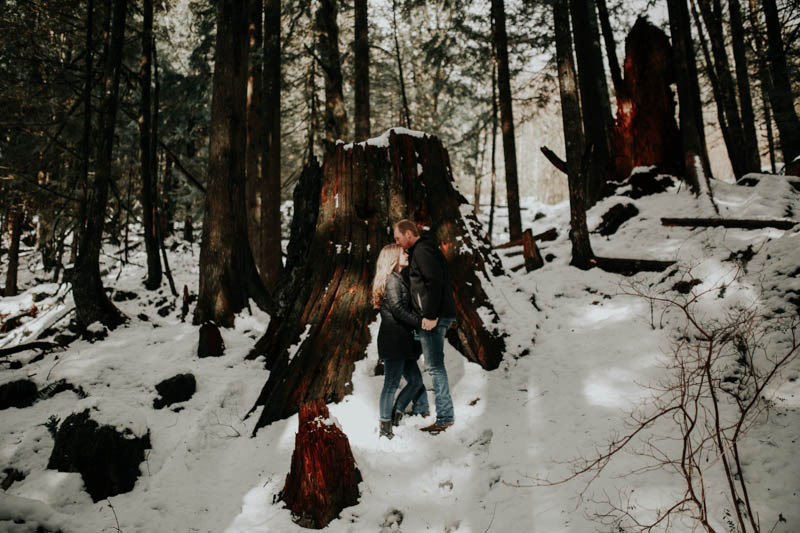 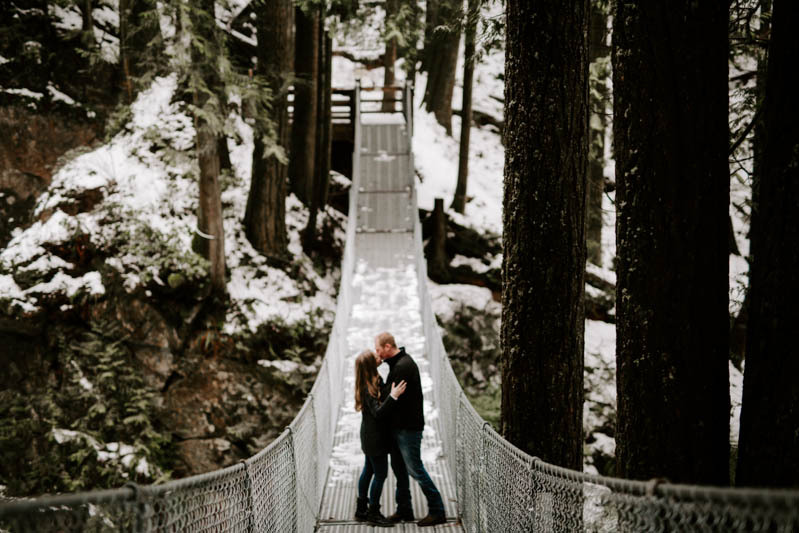 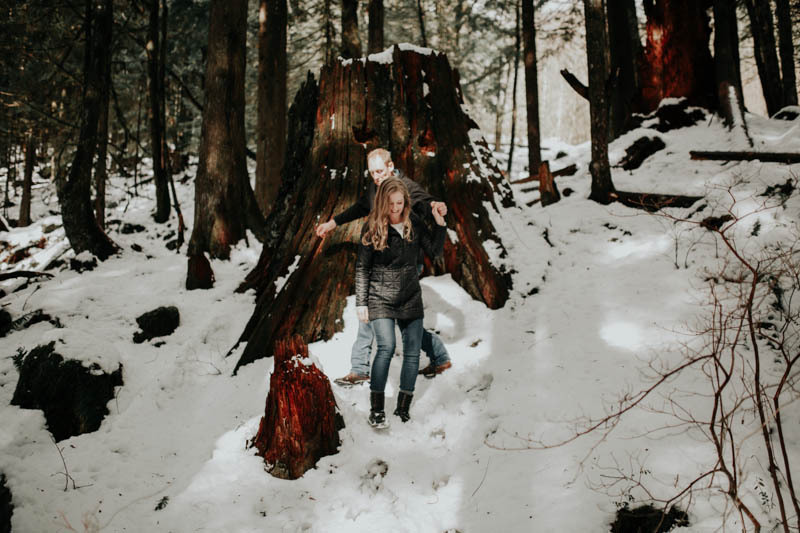 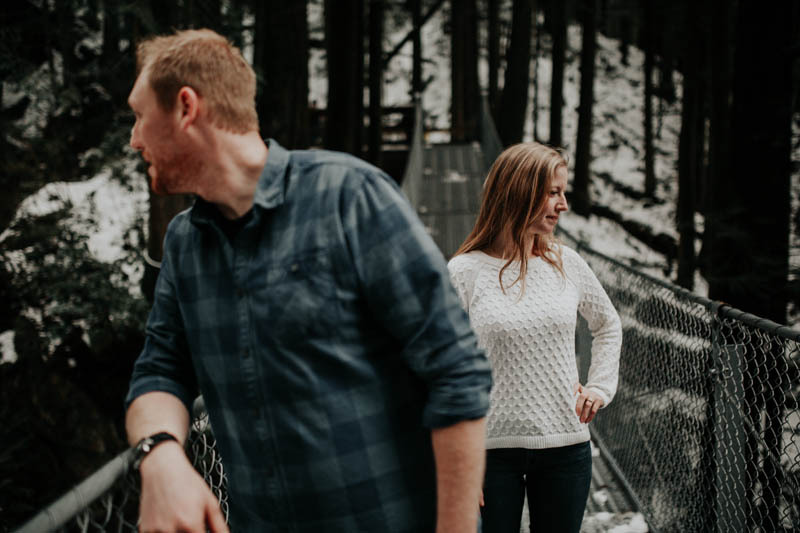 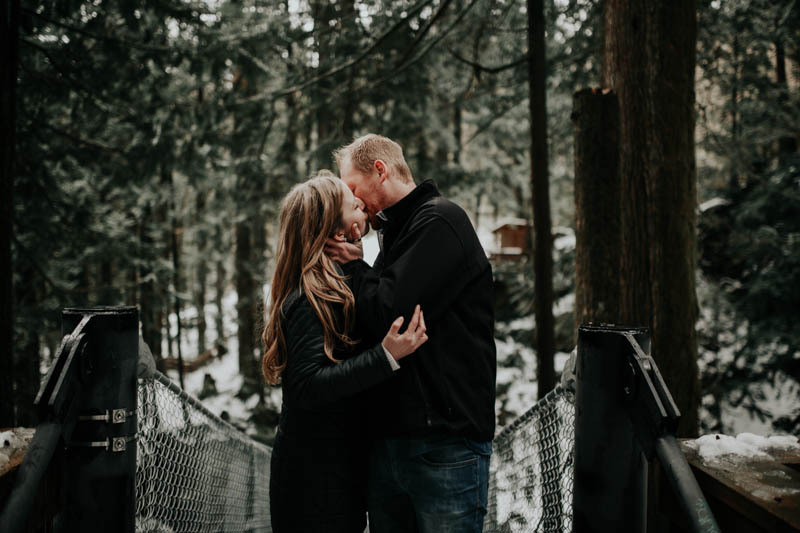 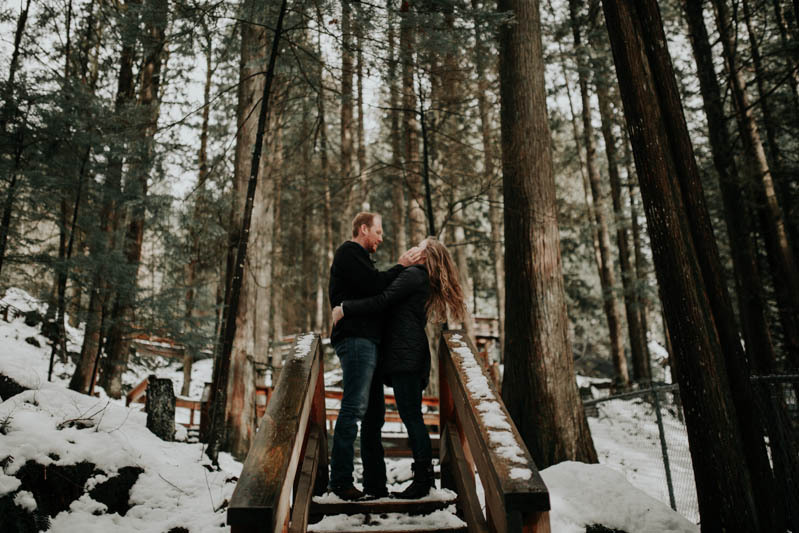 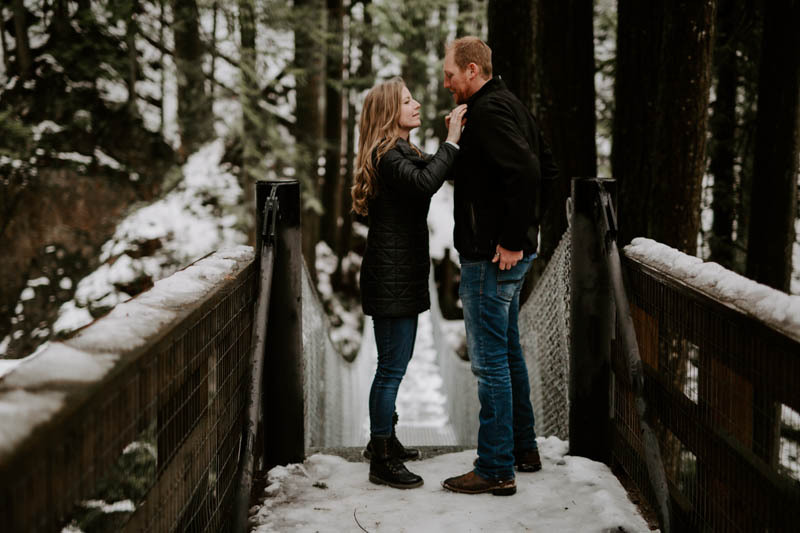 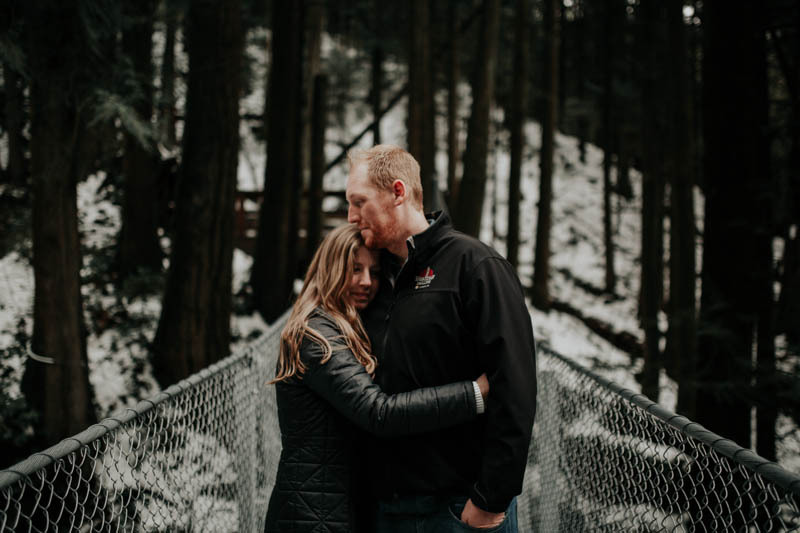 You know when Cascade Falls is the choice of location for an engagement shoot, you are going to end up with some stellar backdrops! 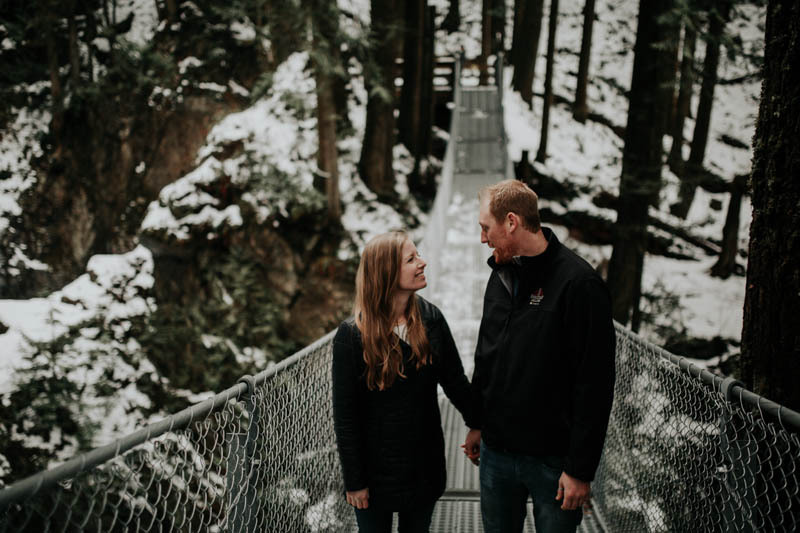 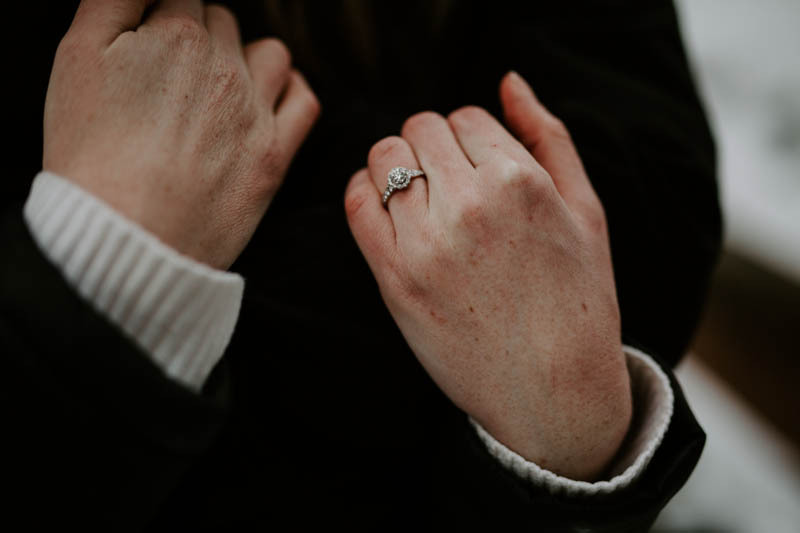 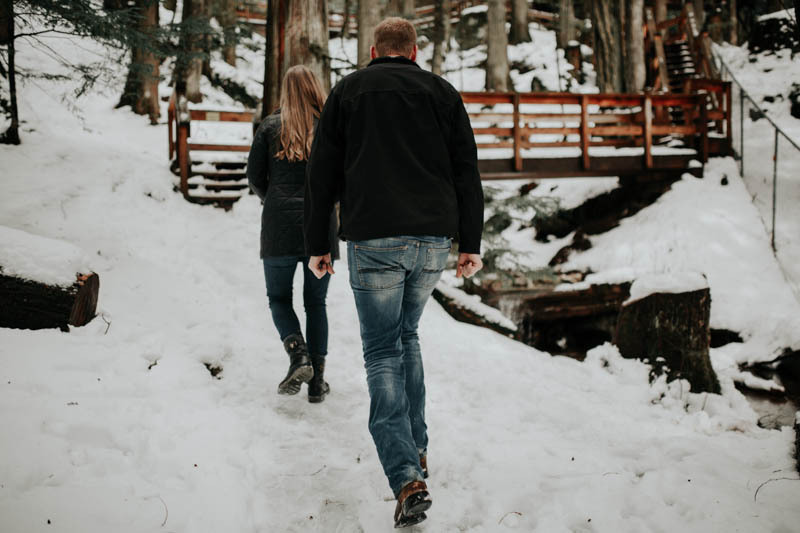 We certainly got this privilege as Justen, Katie, and I made the trek up to the falls (I say that just for kicks as we all know it takes about 10 minutes to hike up…ha!). 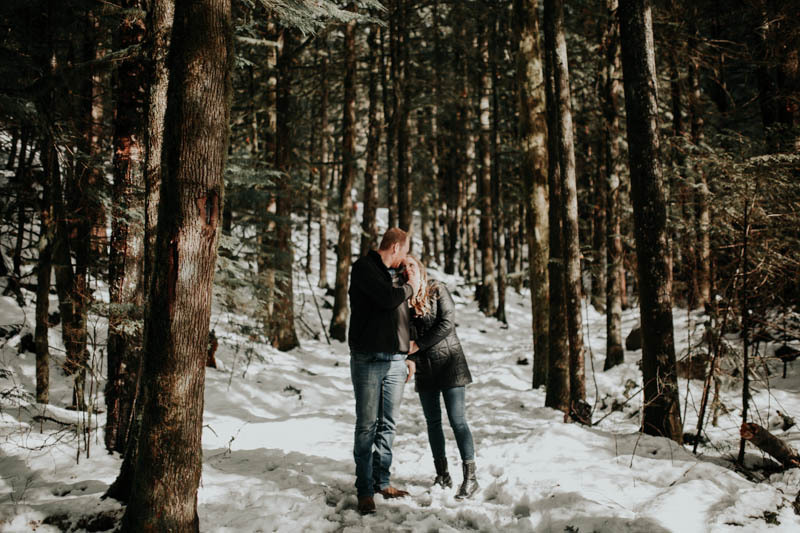 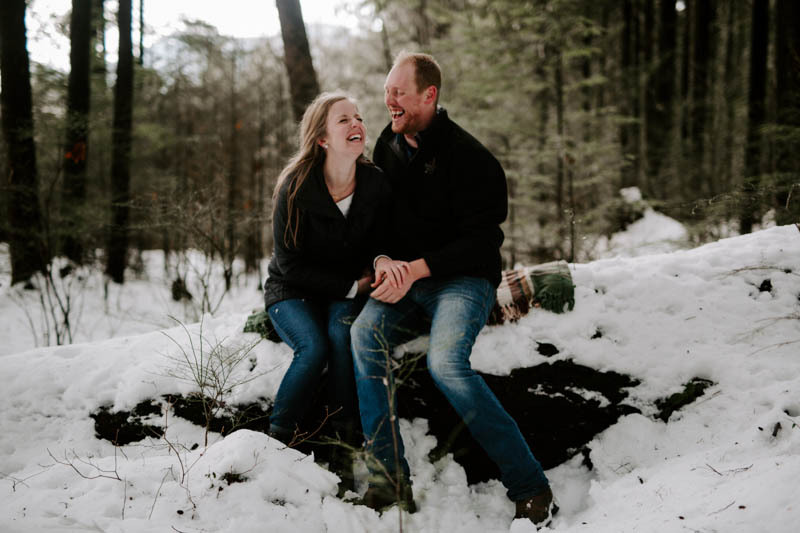 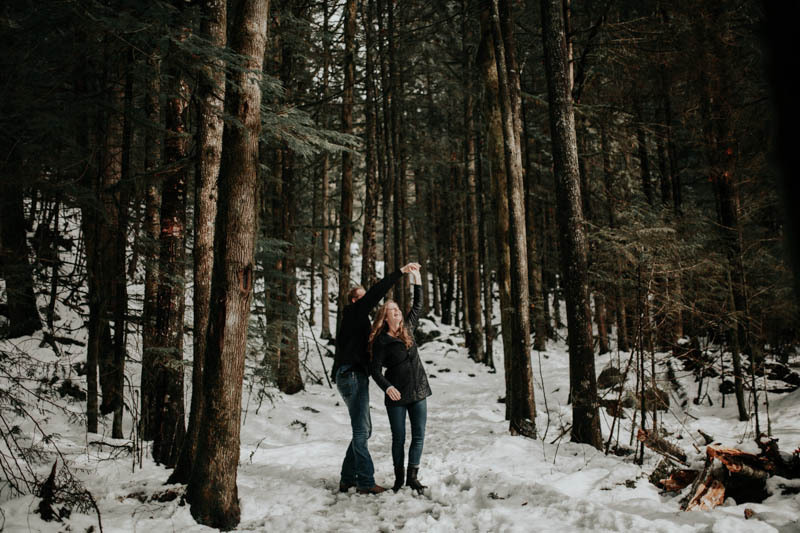 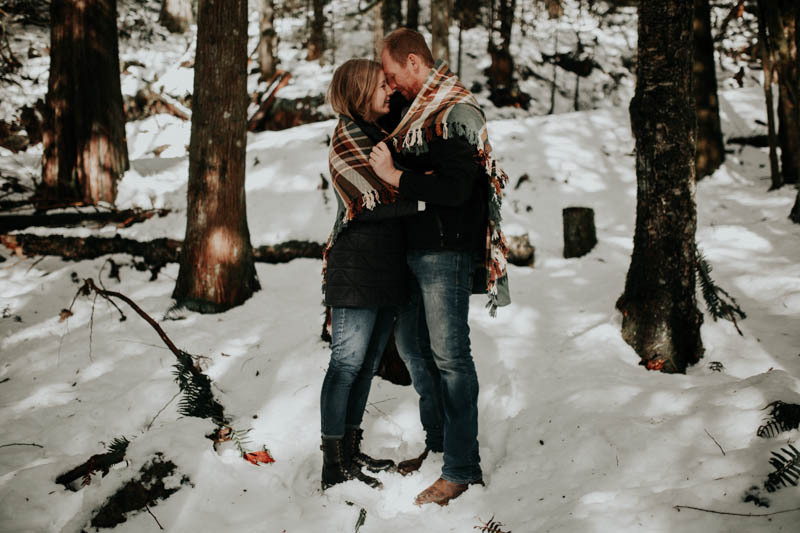 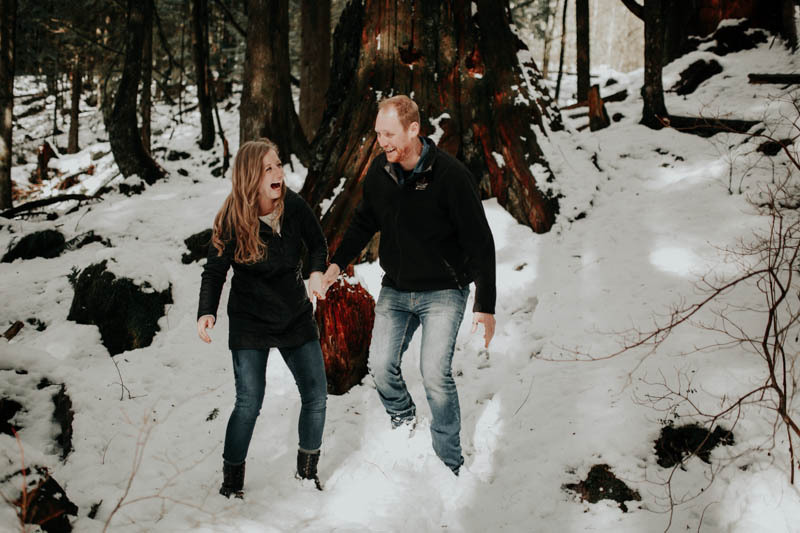 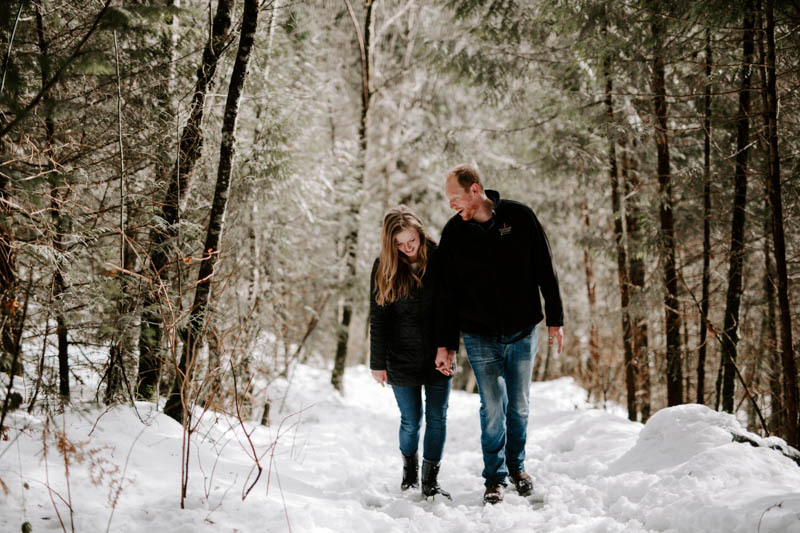 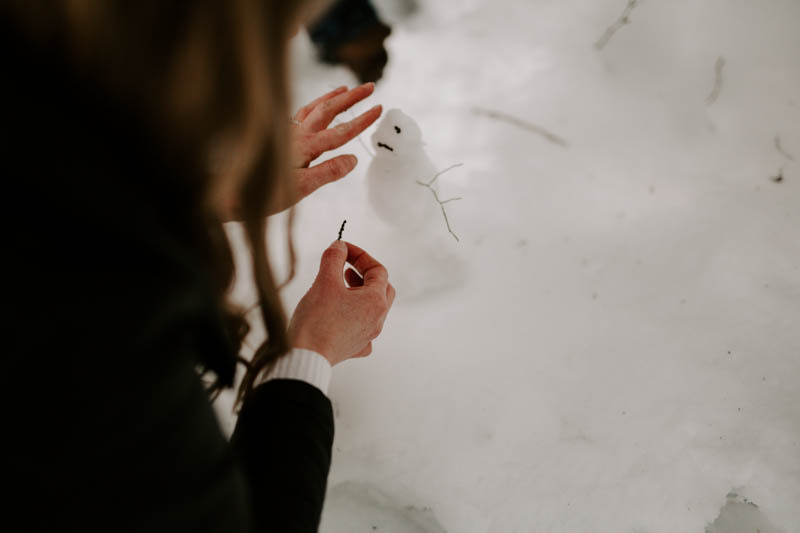 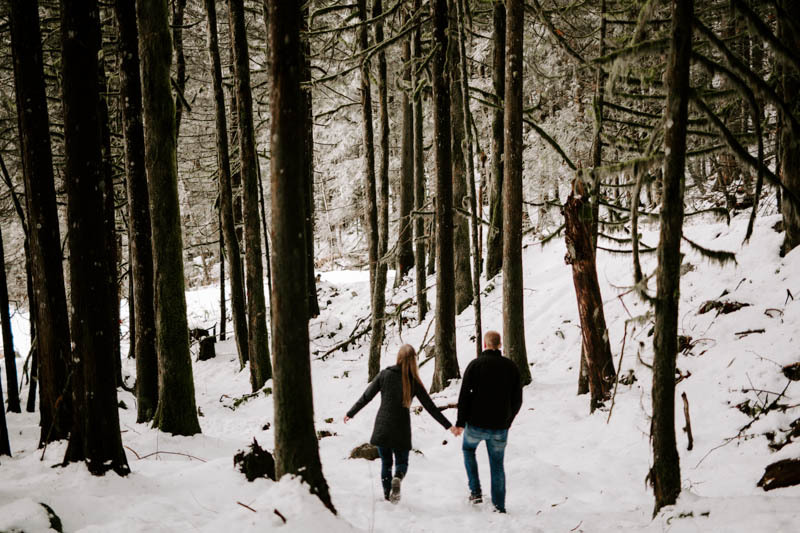 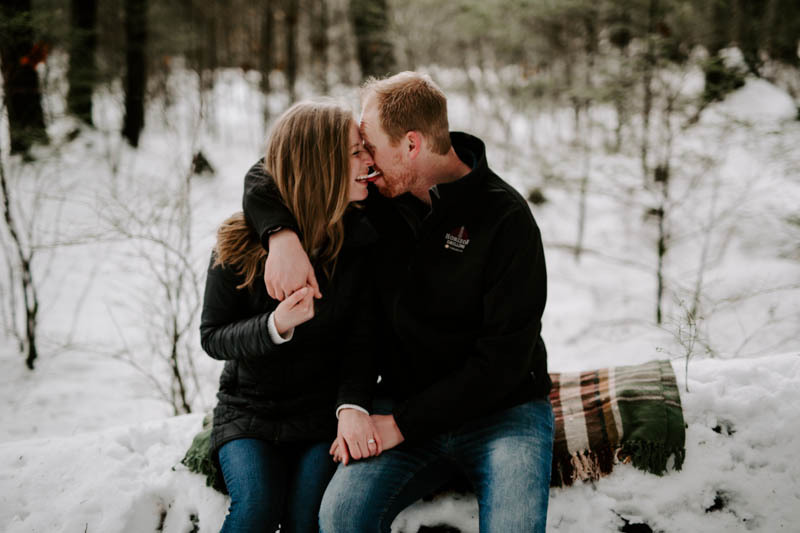 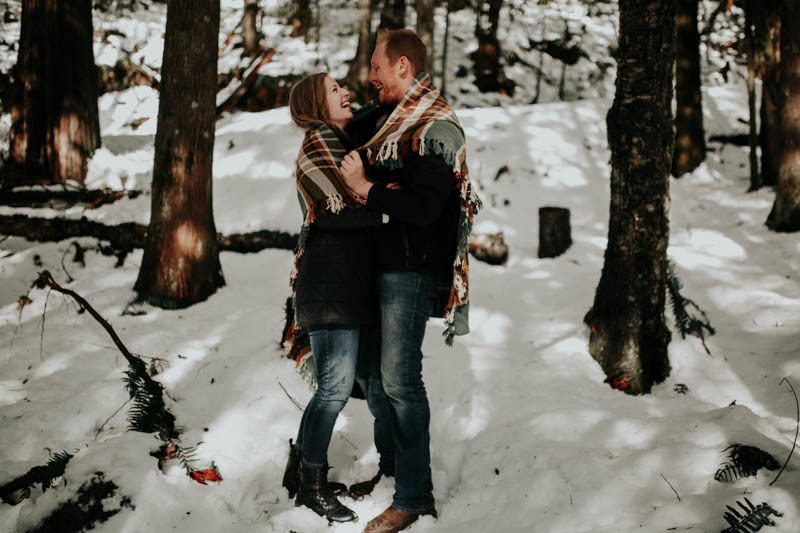 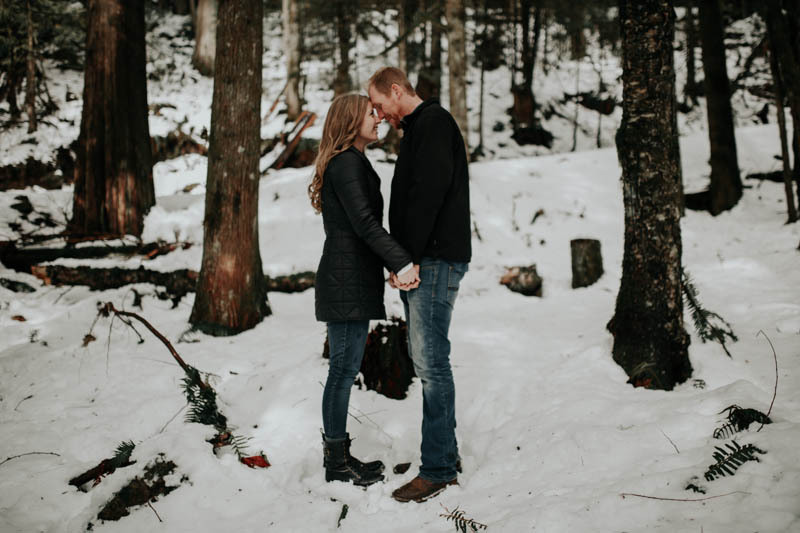 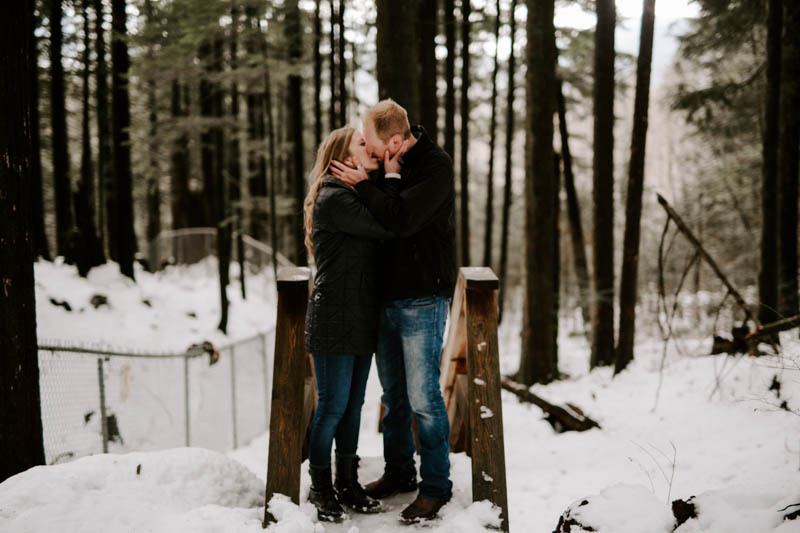 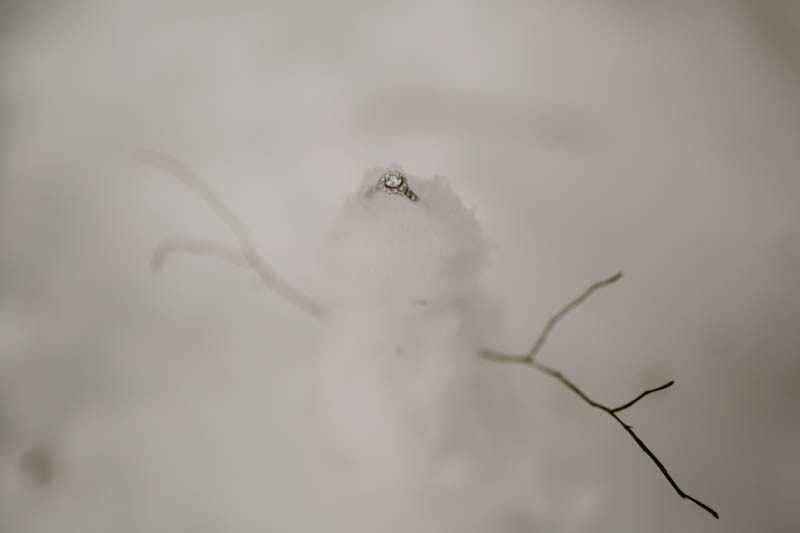 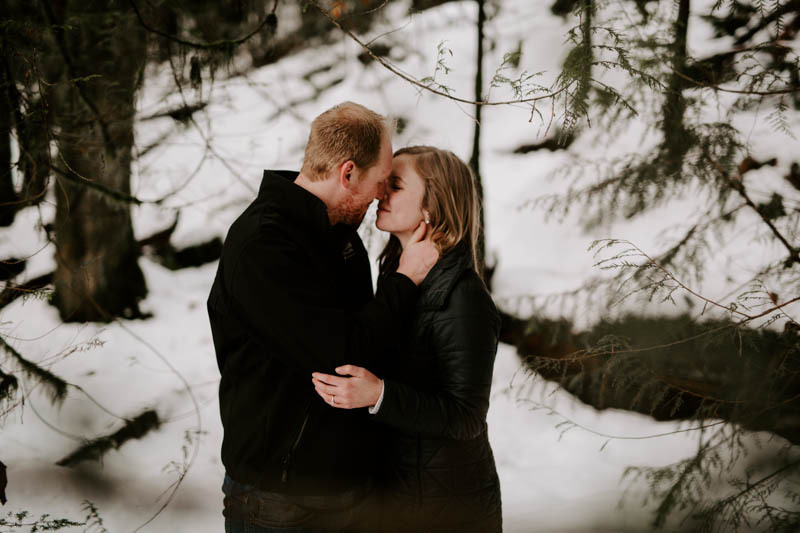 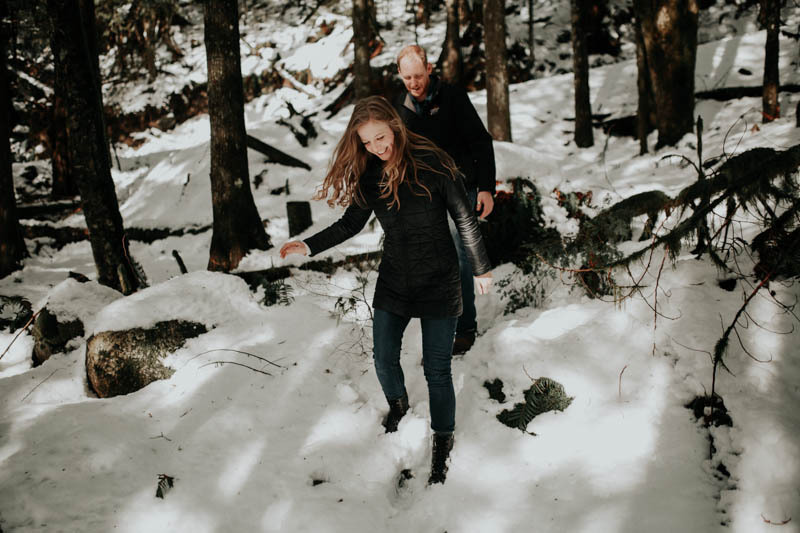 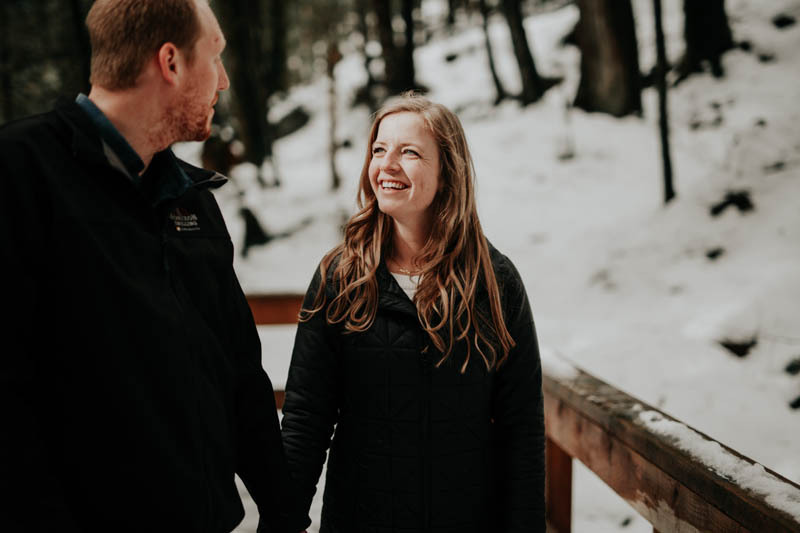 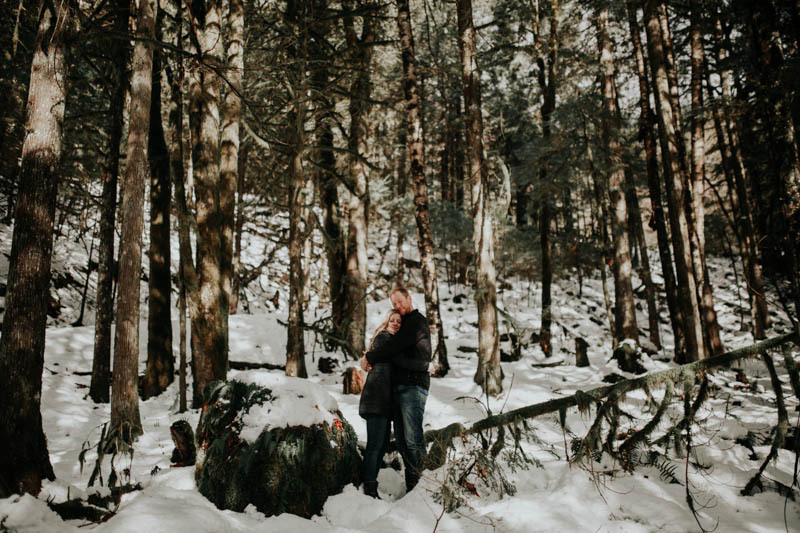 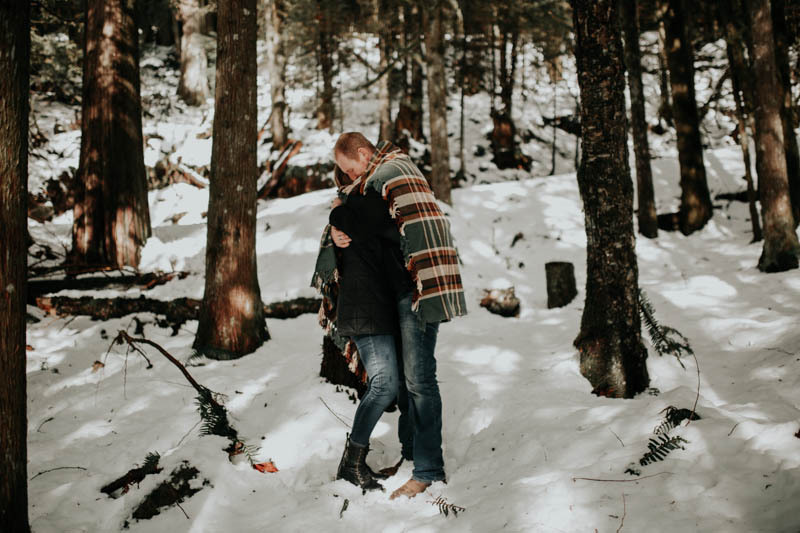 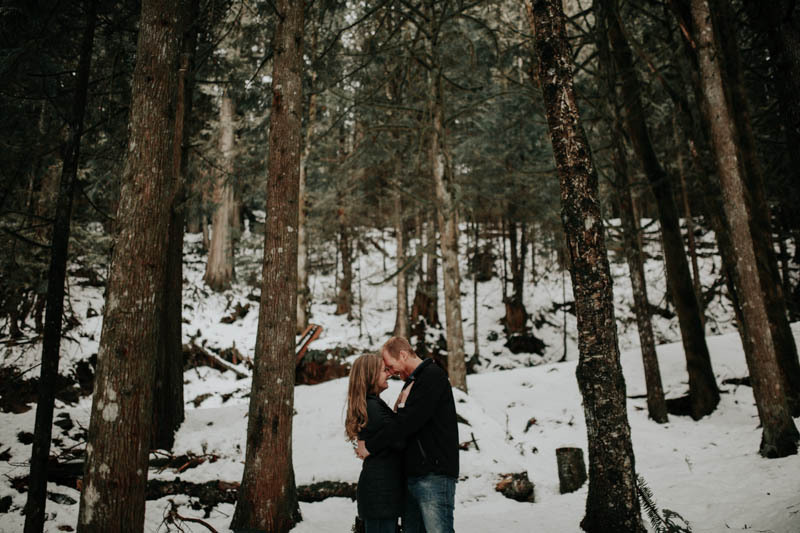 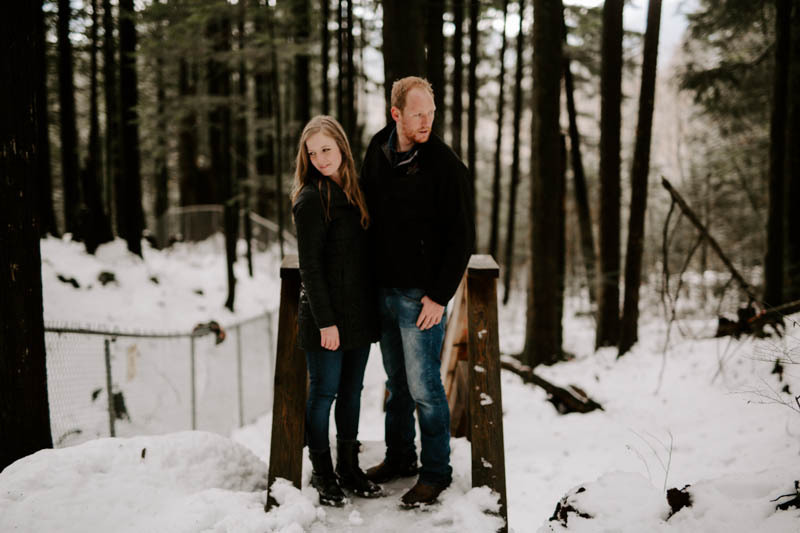 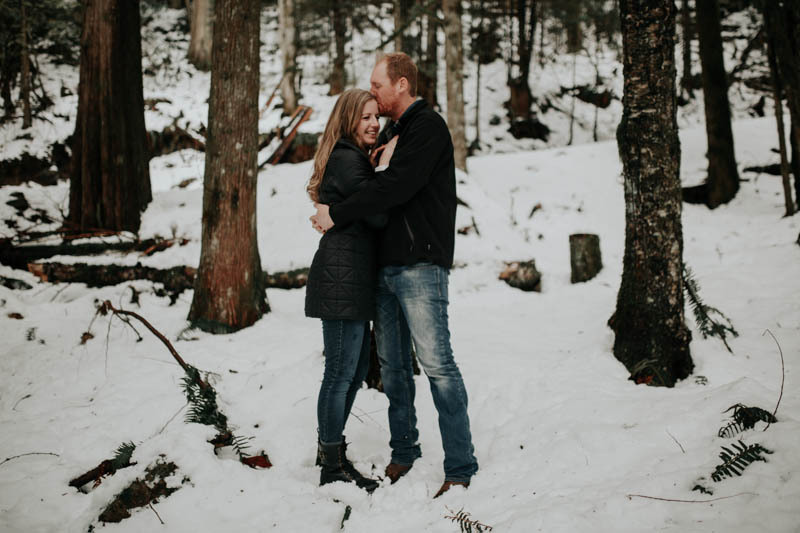 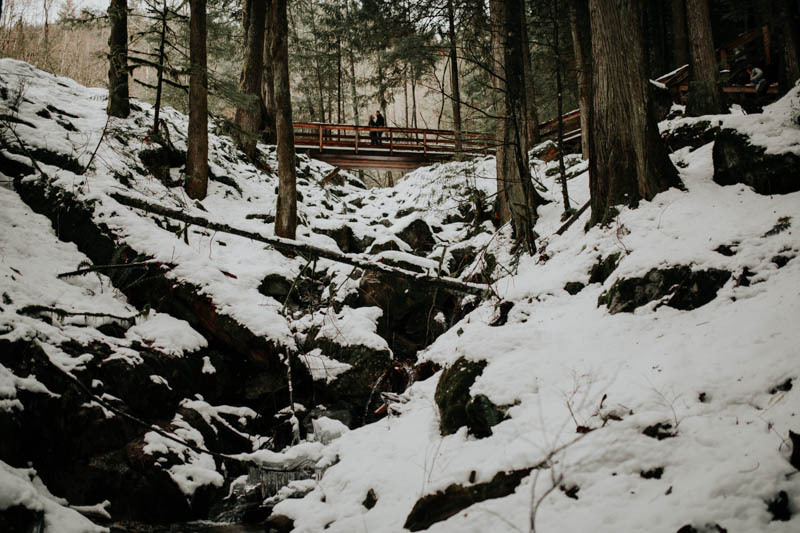 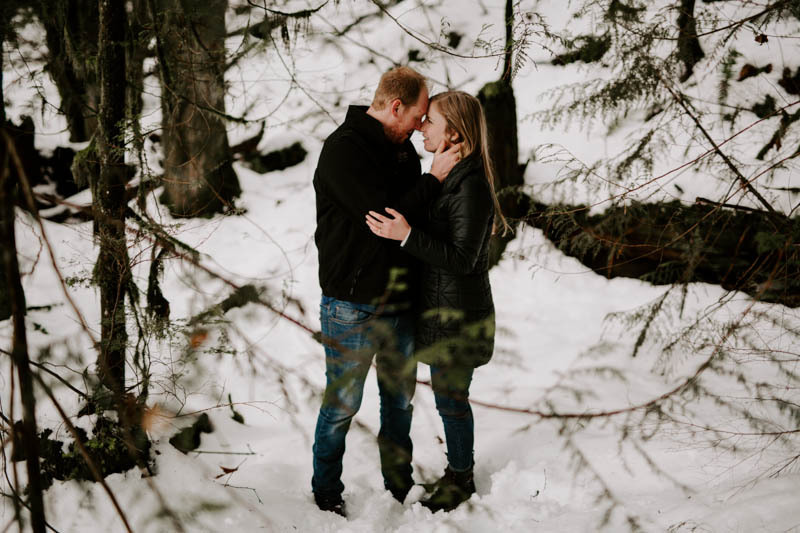 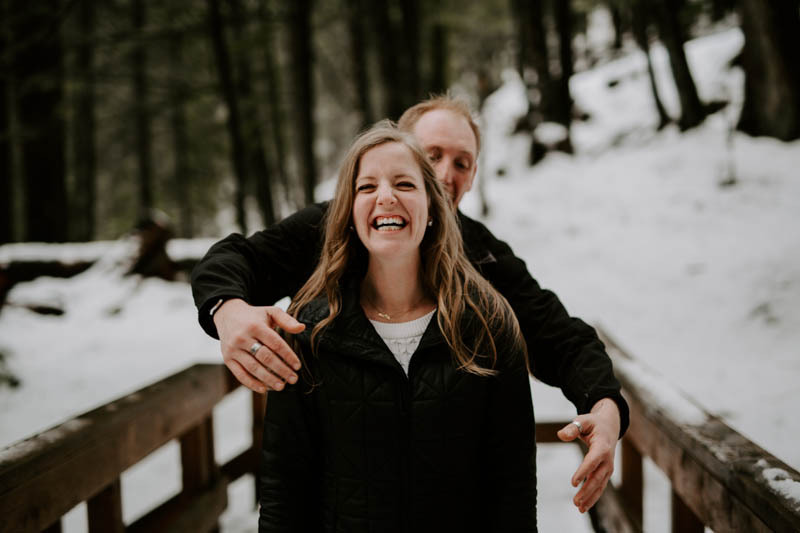 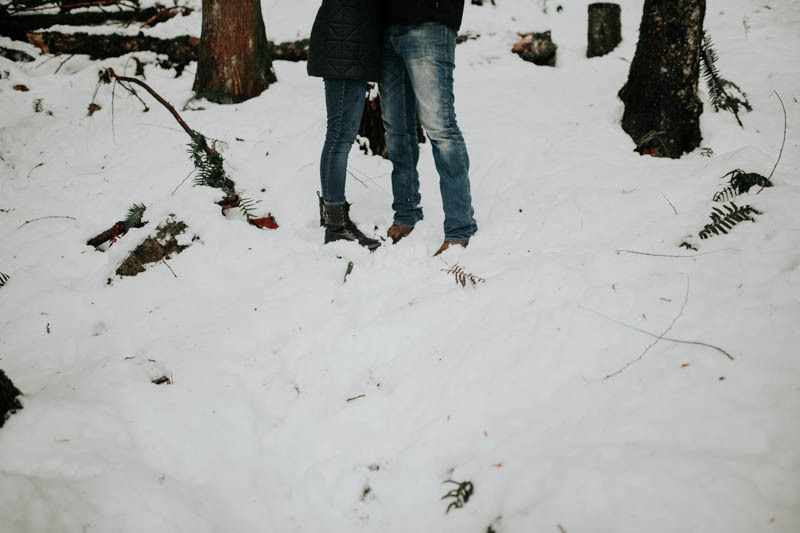 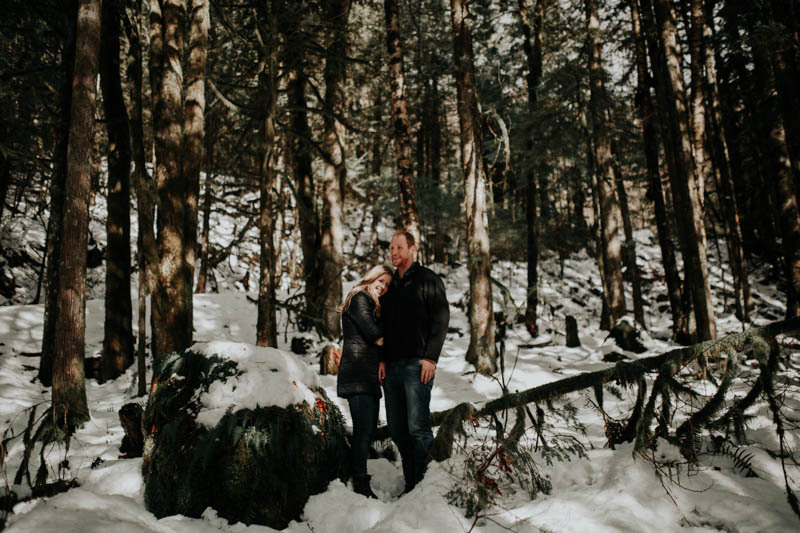 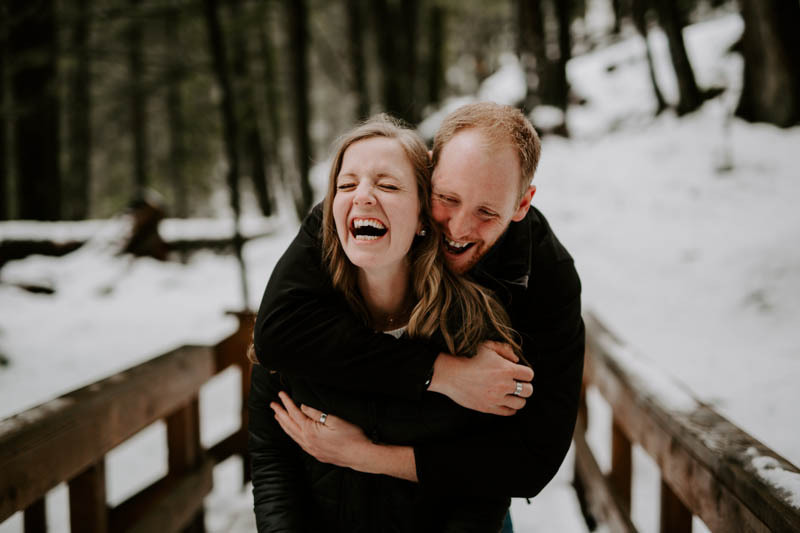 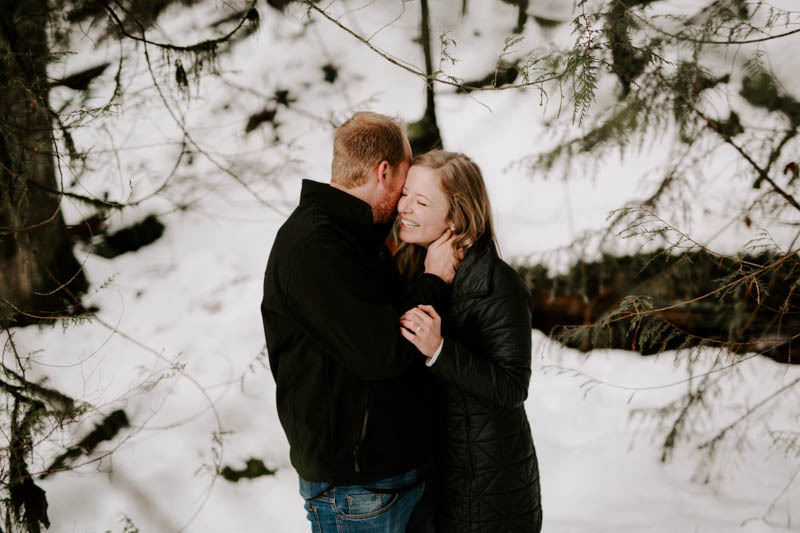 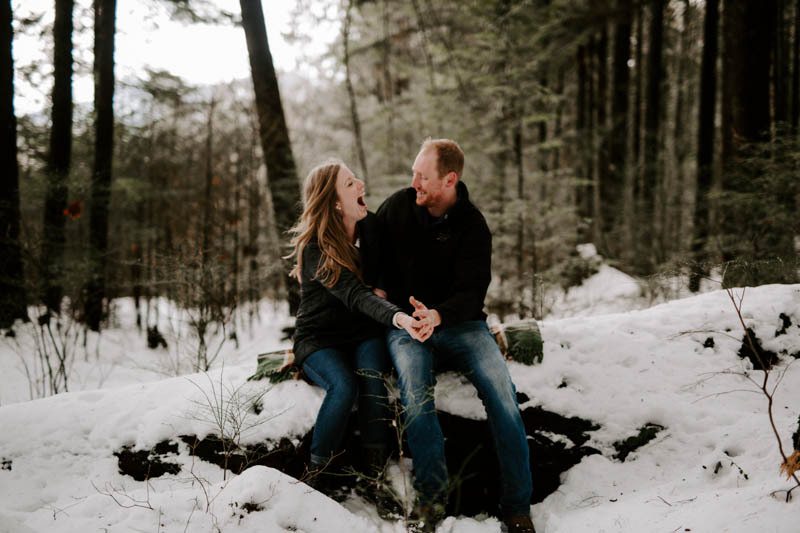 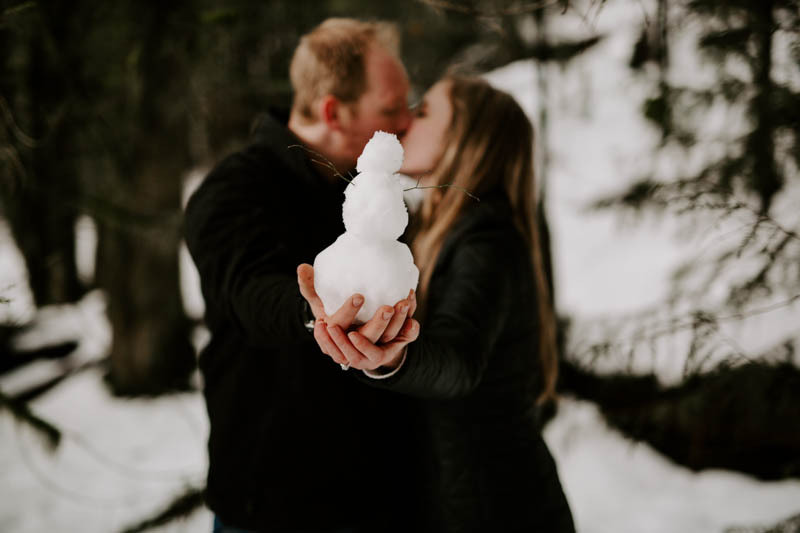 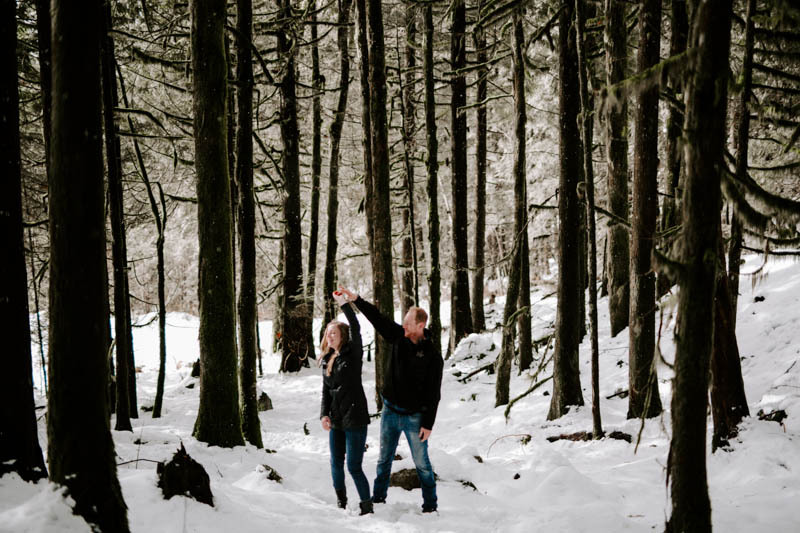 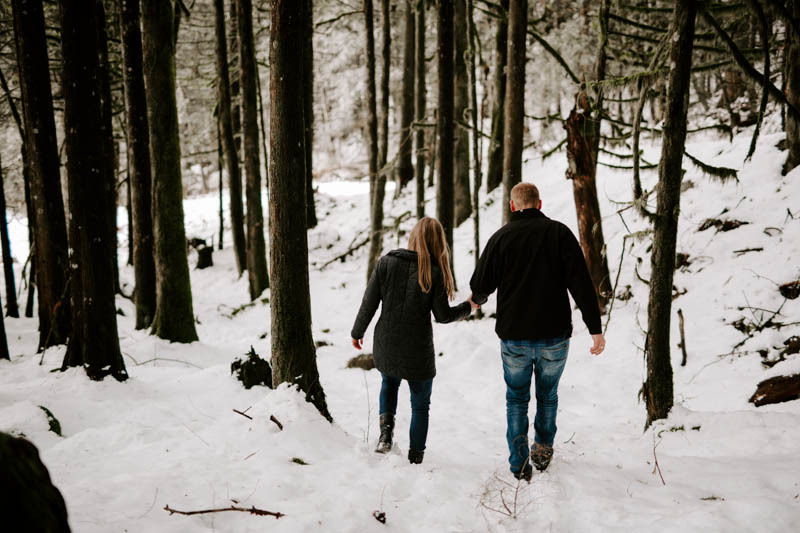 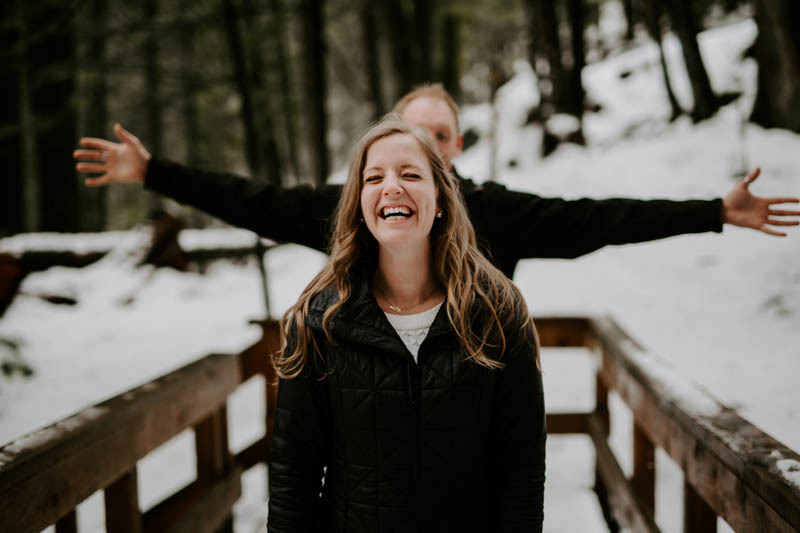 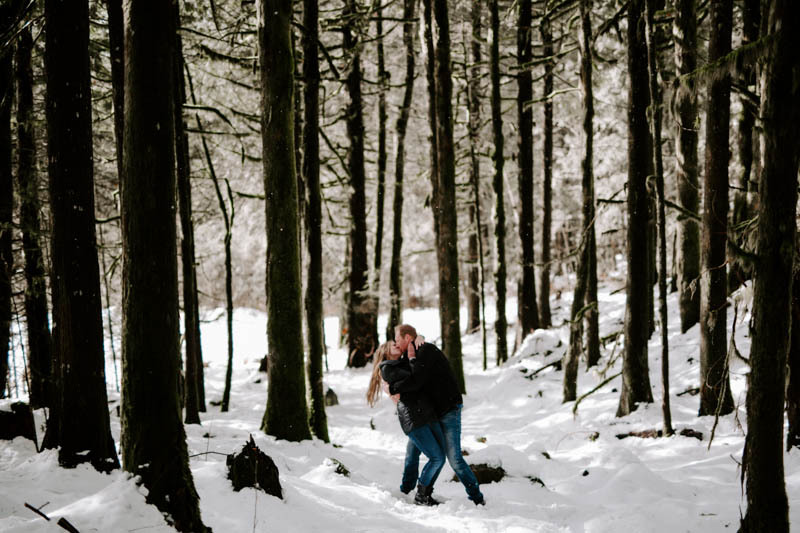 Katie had hoped for snow and sun for her engagement shoot and by some crazy coincidence, that’s exactly what we got. 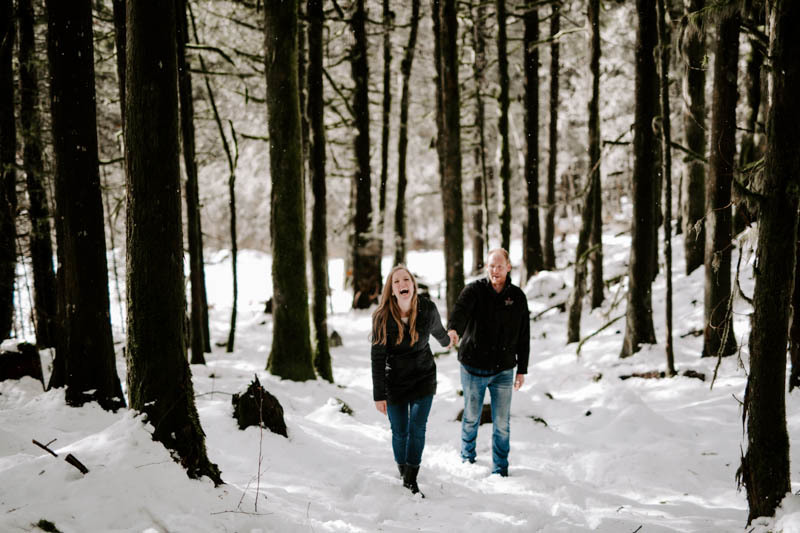 It wasn’t until the last 15 minutes that it started snowing and it only lasted for a few minutes, but it was enough to get her absolutely beaming as she couldn’t believe it! 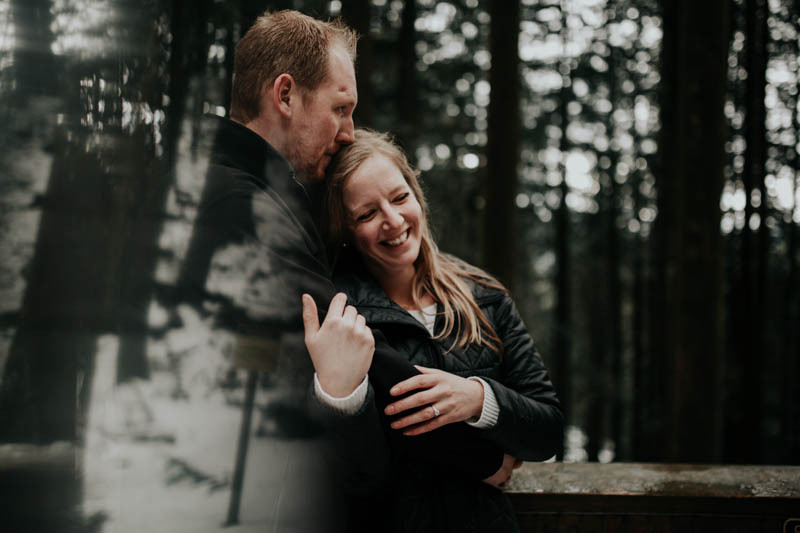 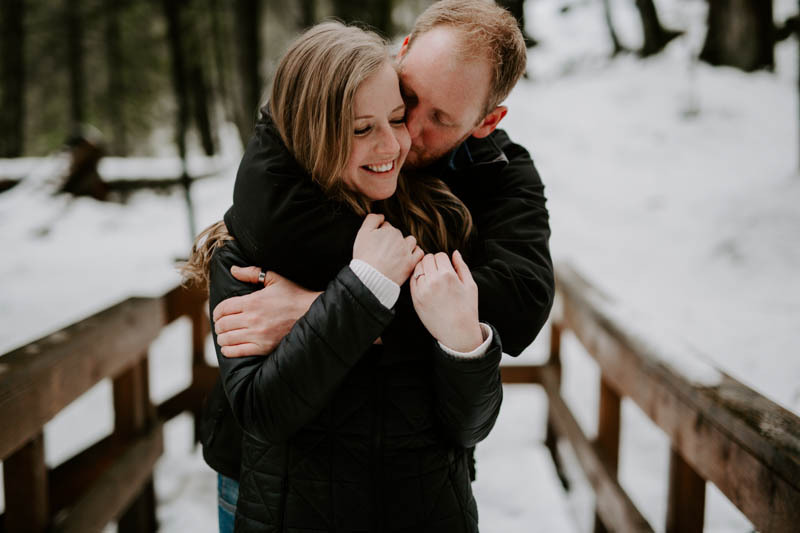 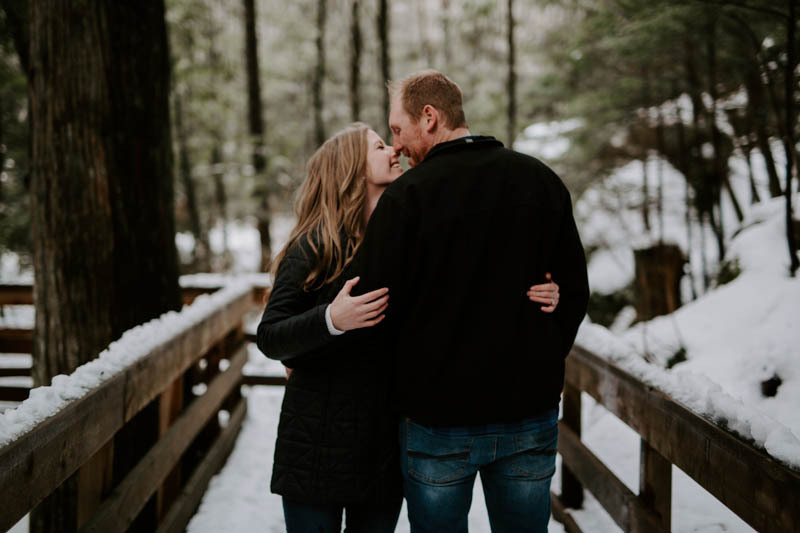 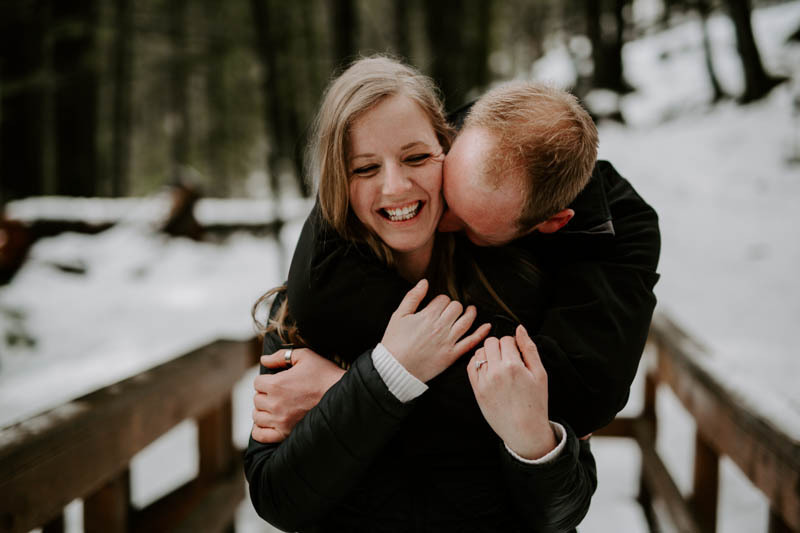 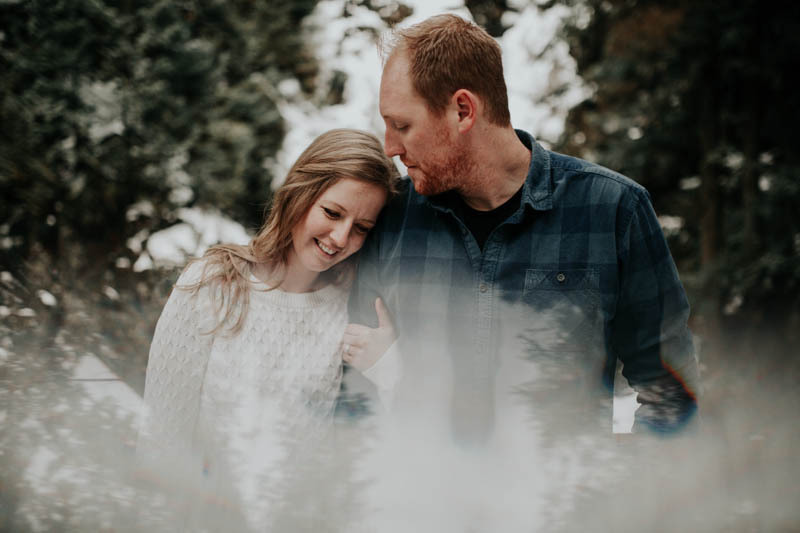 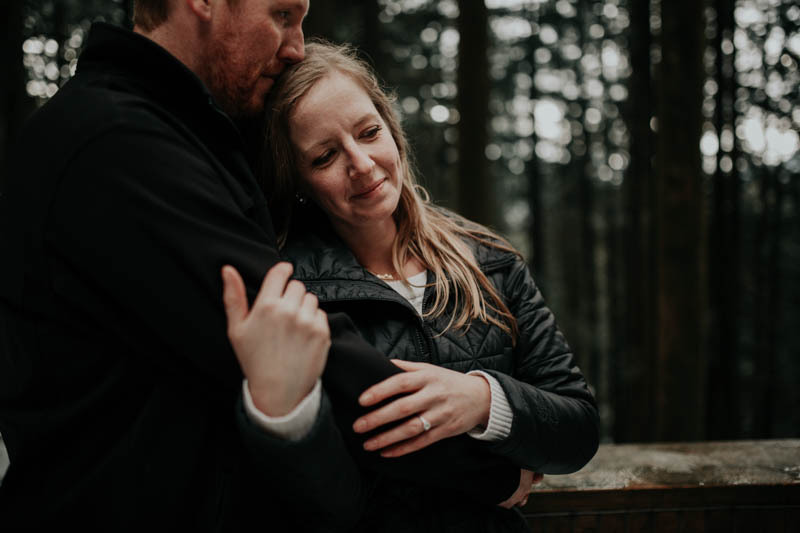 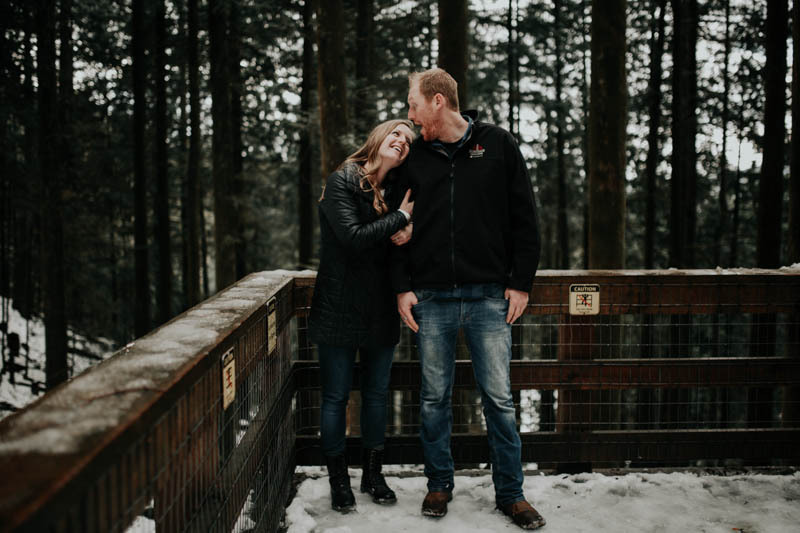 I loved hanging out with these two and I am so pumped to shoot their big day! 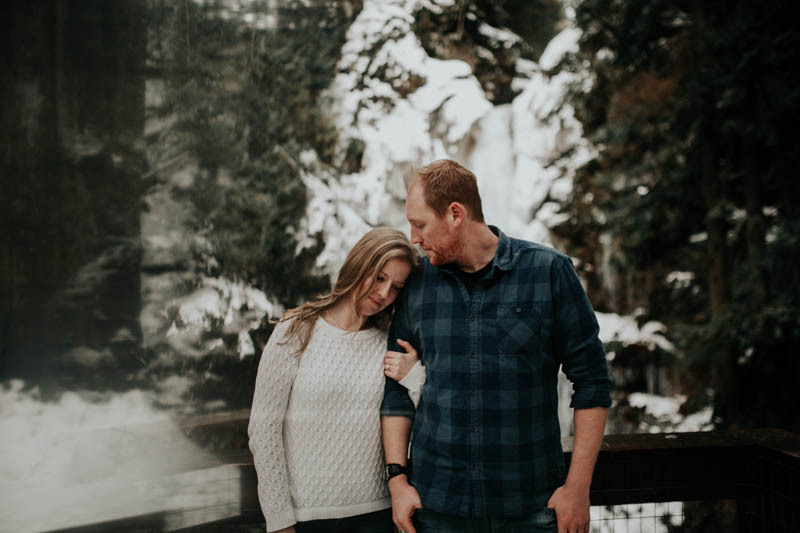 These are some amazing shots of these two!! 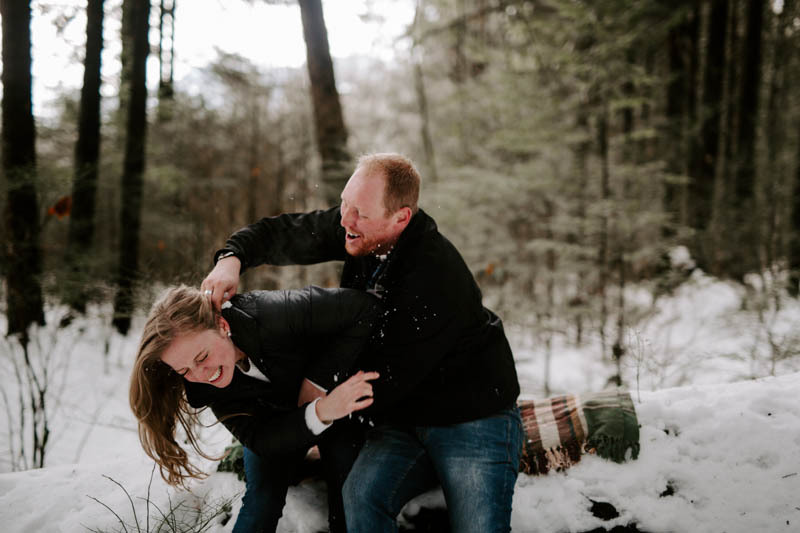 You did an amazing job capturing them and their personalities!! 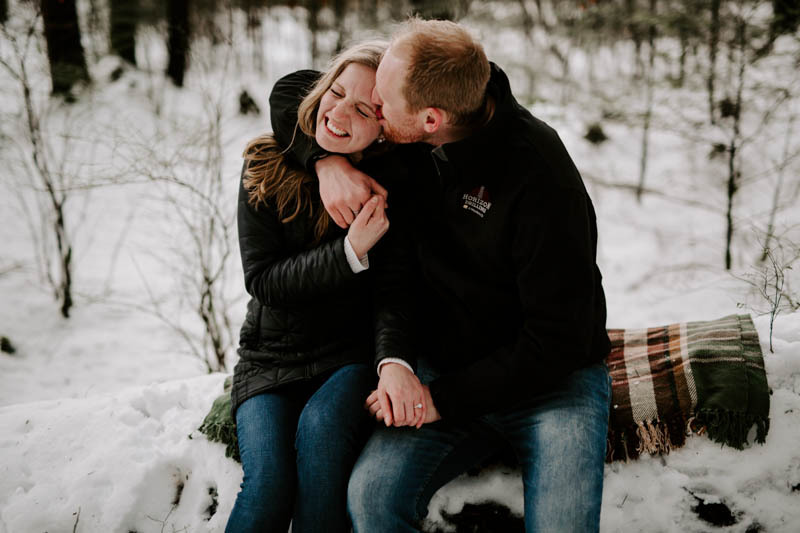 Can’t wait to have their big day!